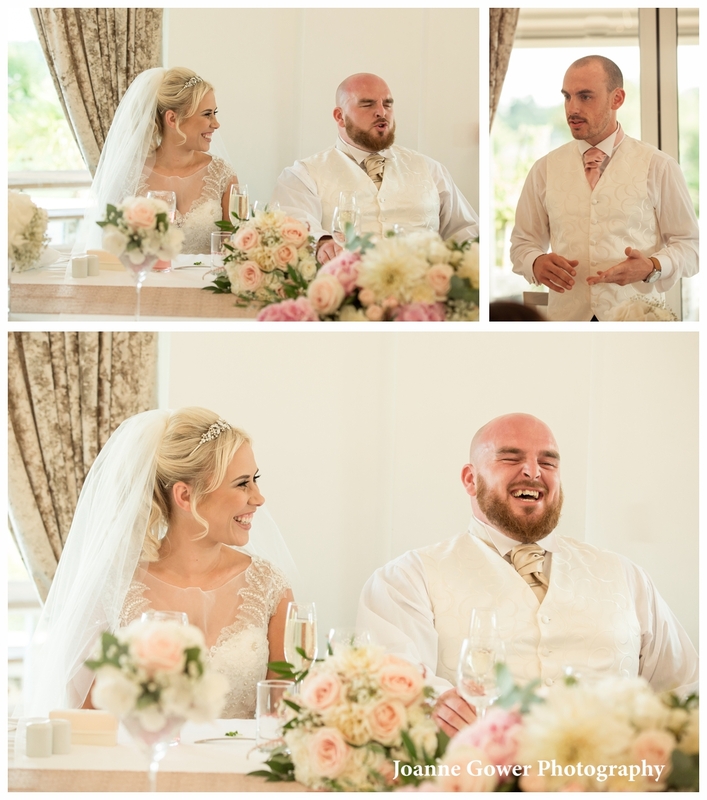 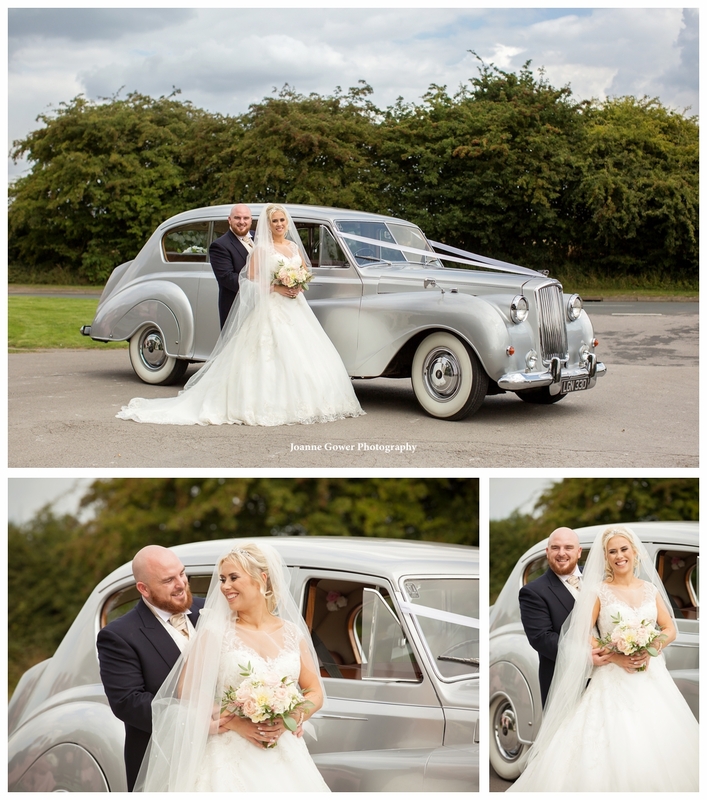 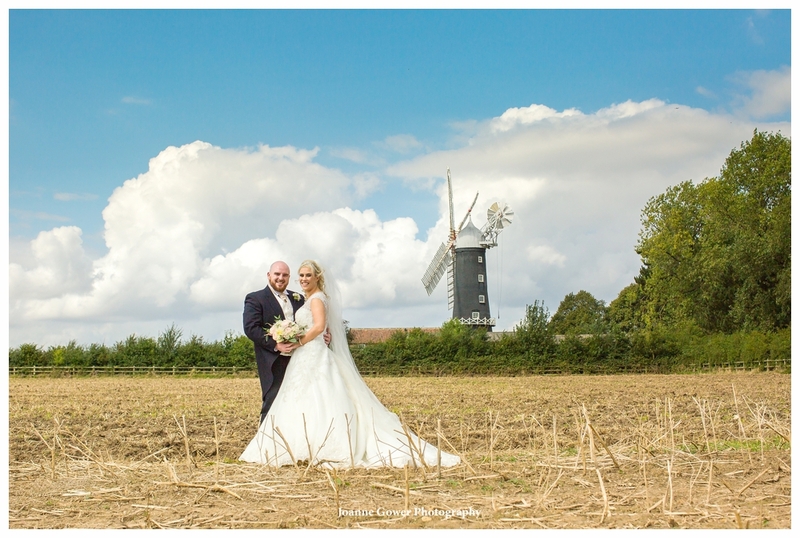 Lora and Dudley were married on Saturday at the Millhouse Restaurant, Skidby. 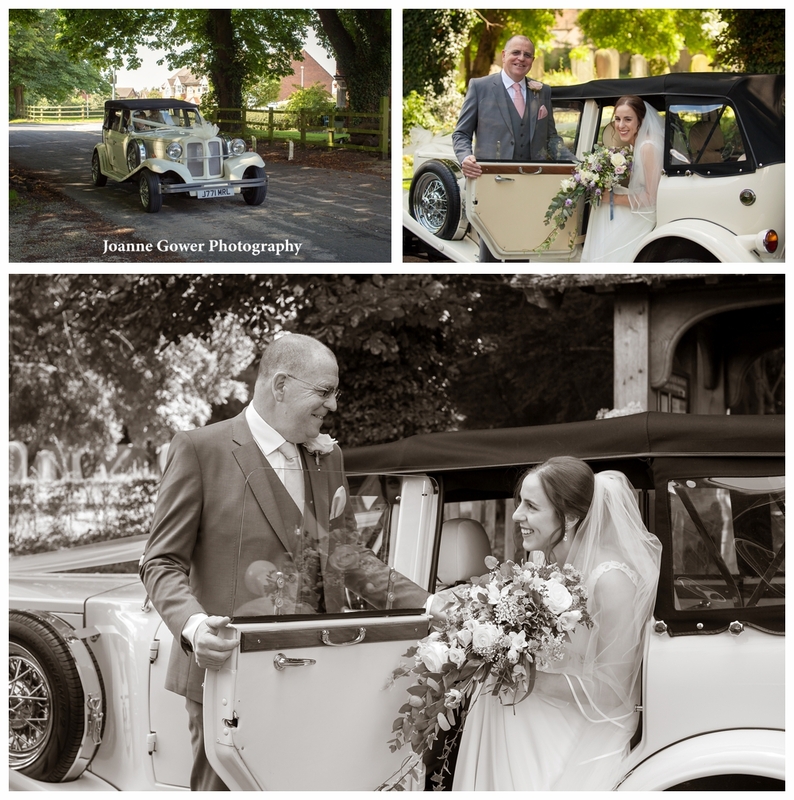 We had a wonderful day photographing their wedding. 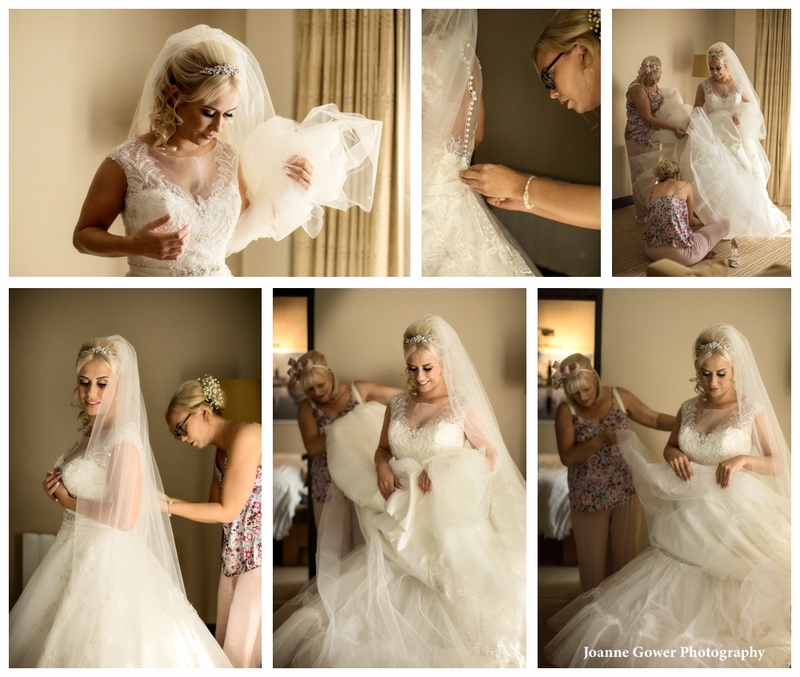 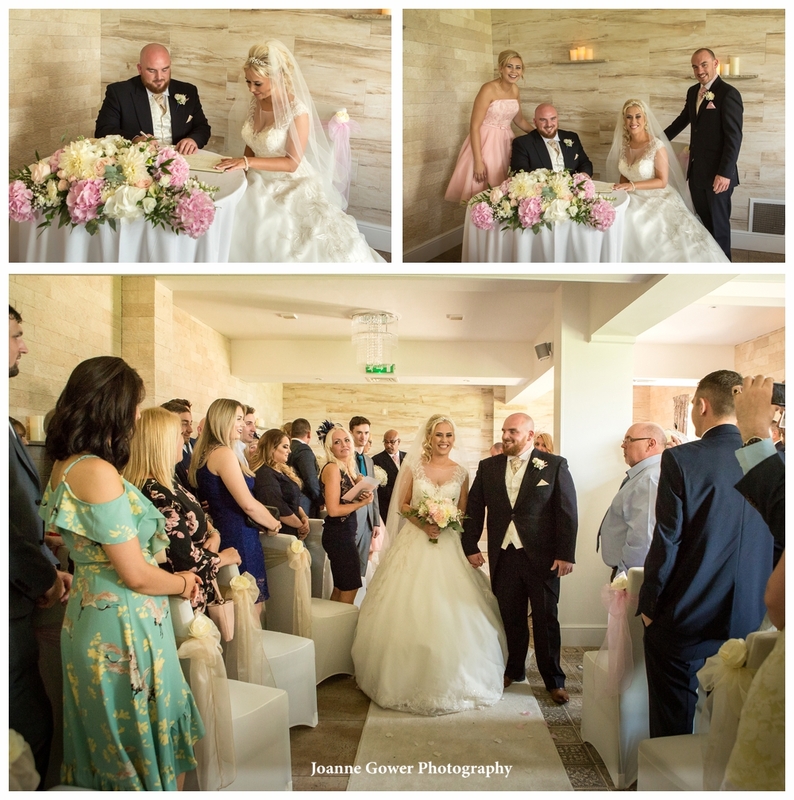 We started the day with Lora and her bridesmaids Becky, Lisa, Sophie, Tilly and Kylie who were all getting ready at the Mercure Grange Hotel, in Willerby, before heading out to meet Dudley and his groomsmen Clark, Loyd, Dan, Mark and Danny. 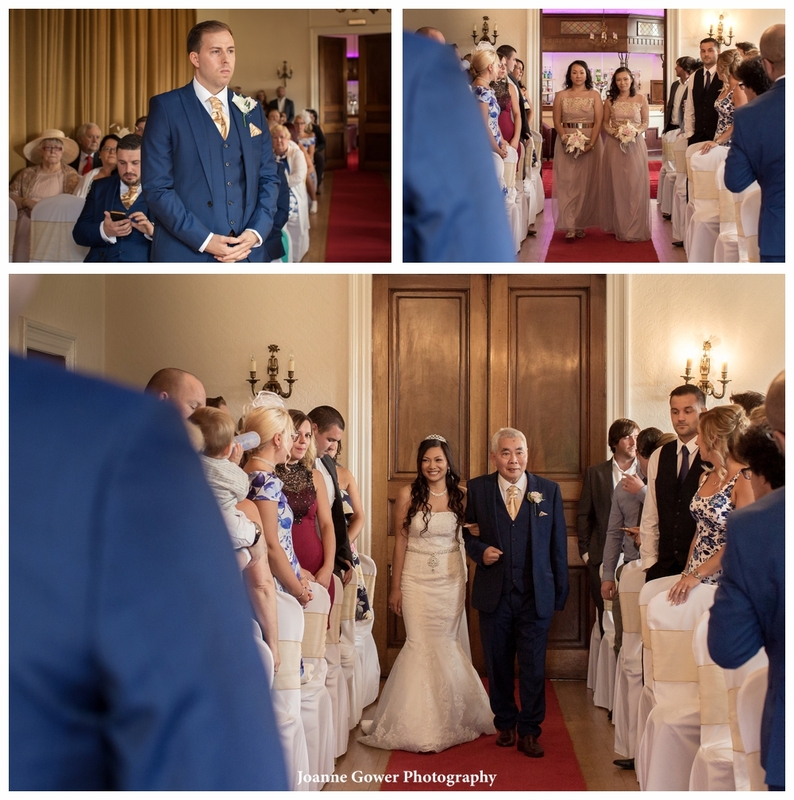 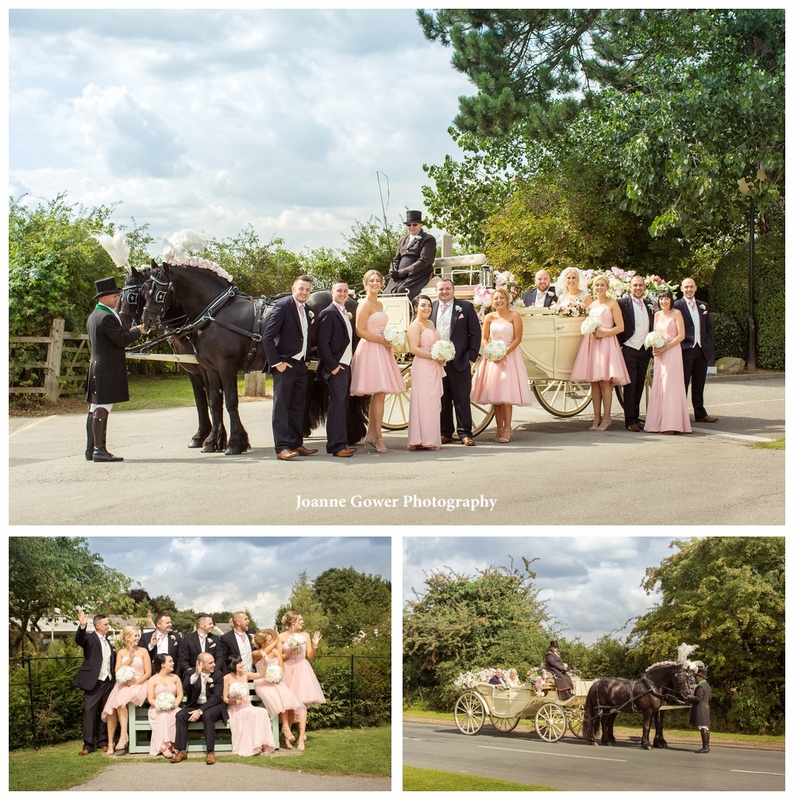 After some quick portraits, the guests began to arrive and were whisked inside, before the bride arrived with her father, on a horse drawn carriage. 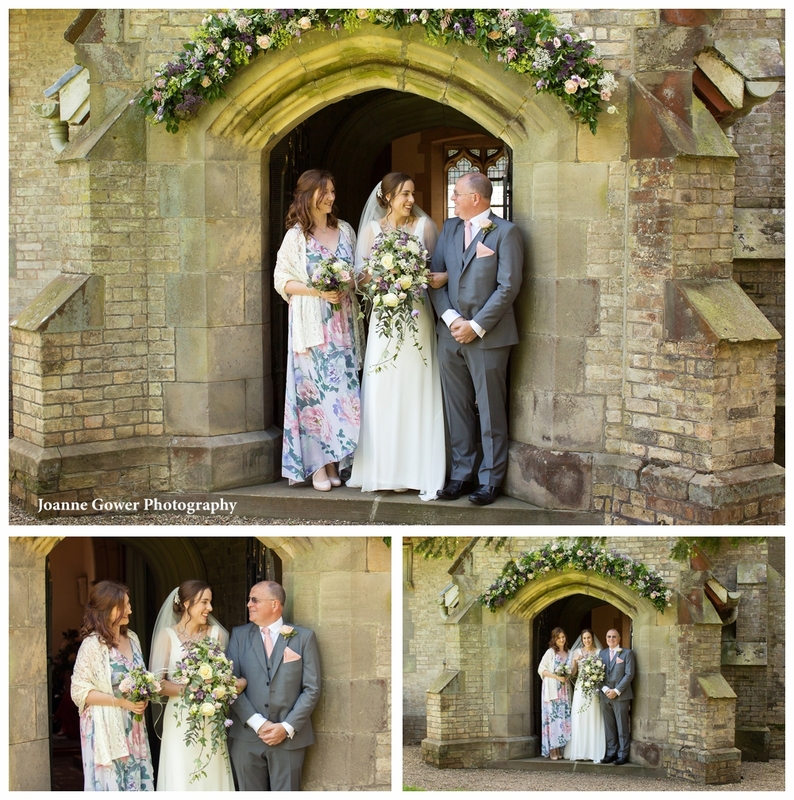 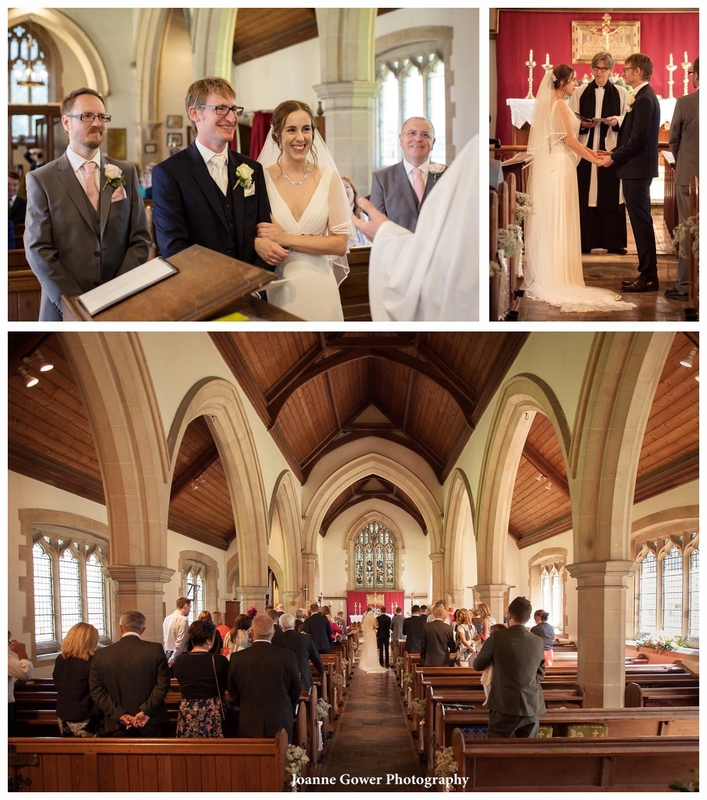 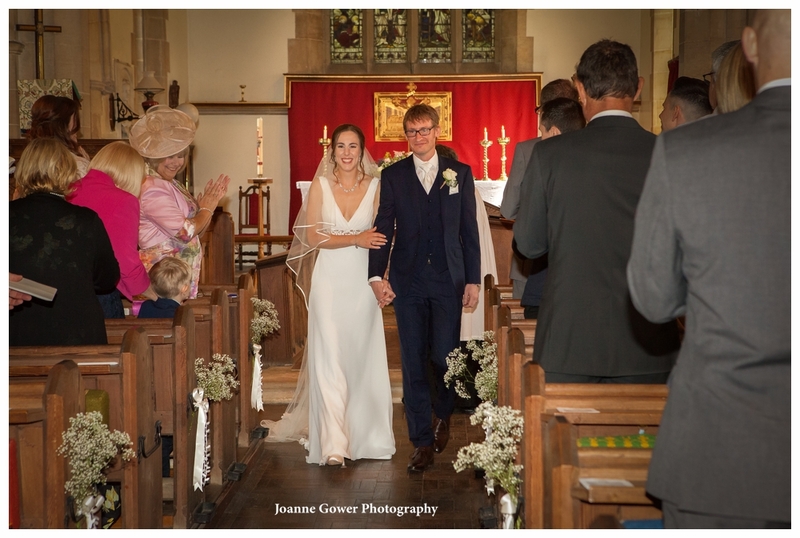 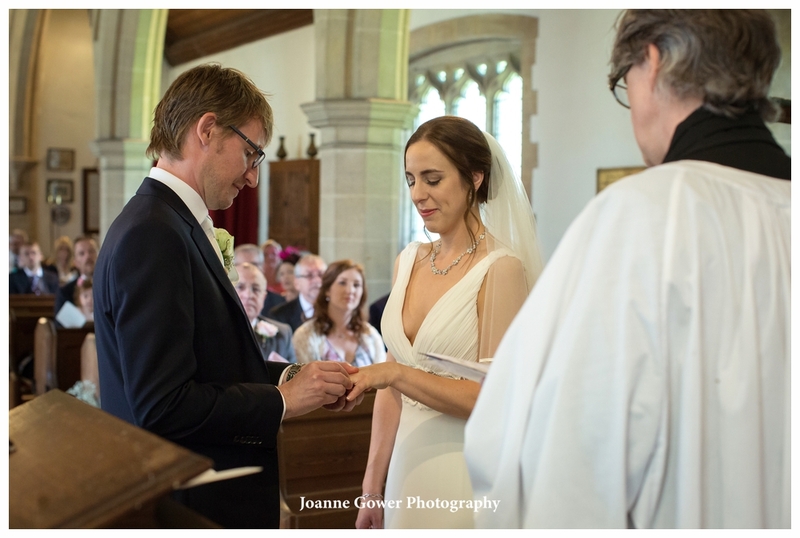 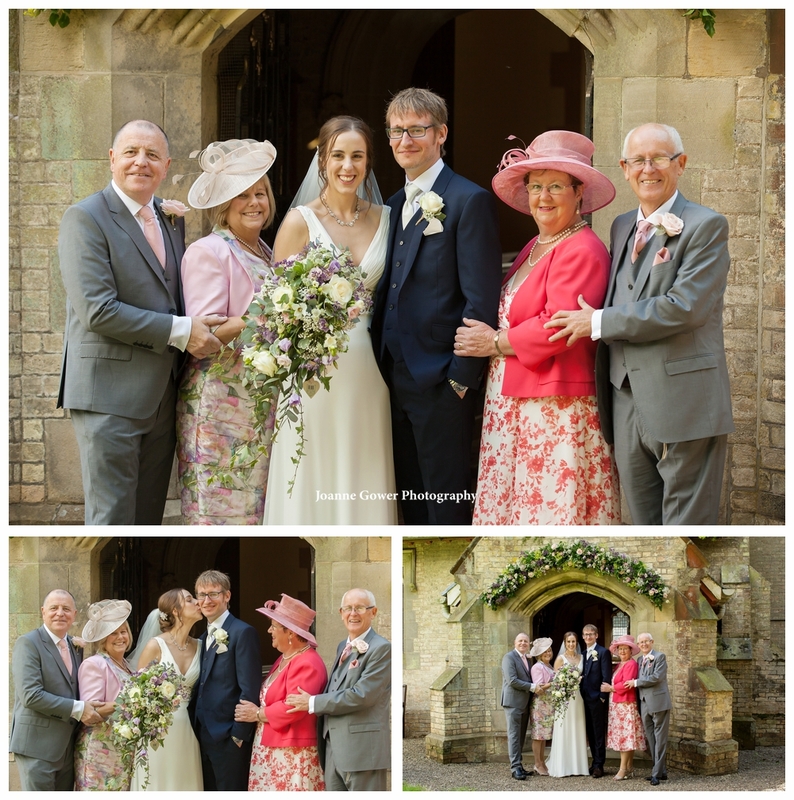 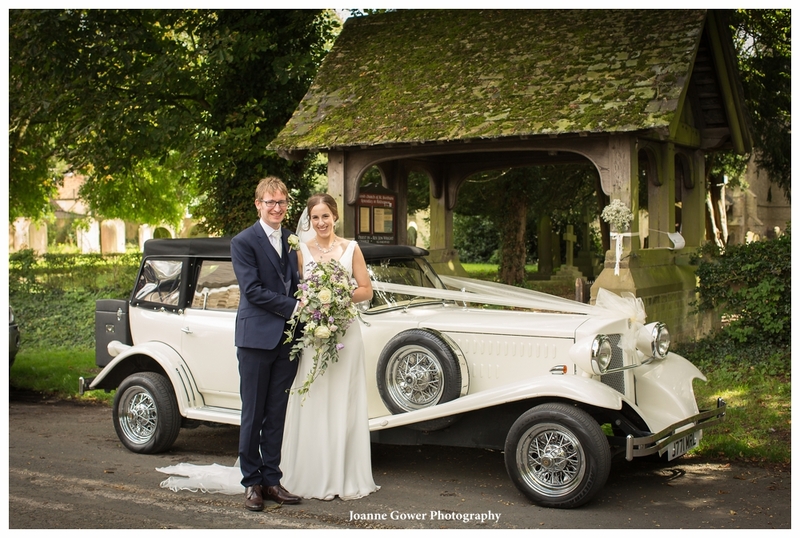 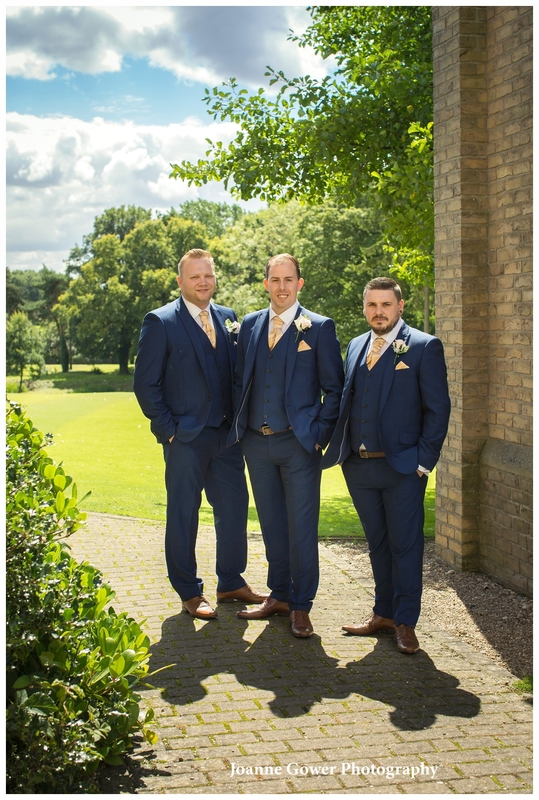 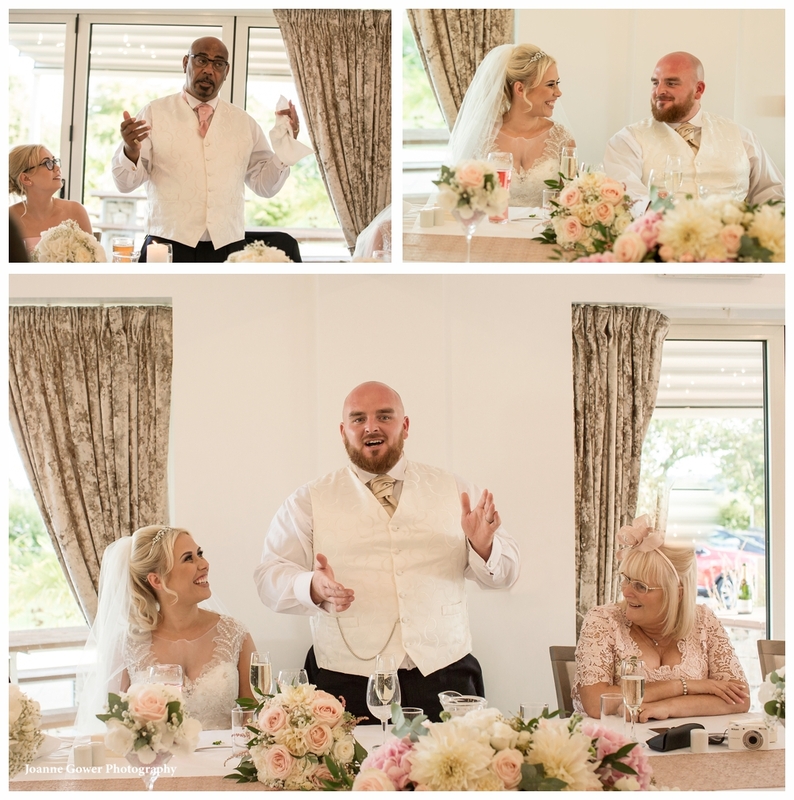 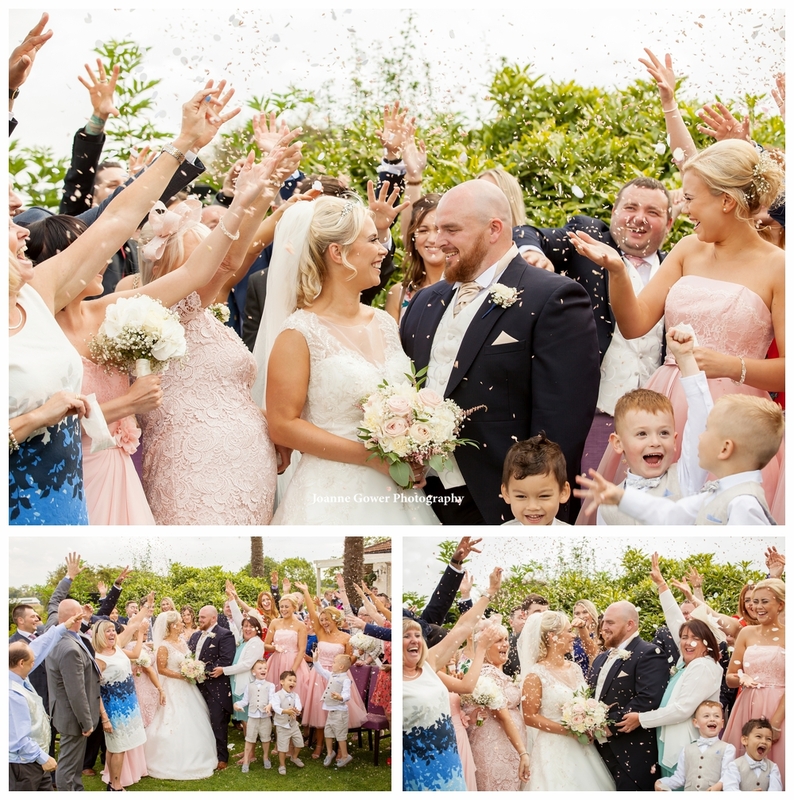 There was much laughter during the service with both of the couples names providing a bit of a challenge and afterwards the guests enjoyed a celebratory drink, whilst the happy couple headed off for a romantic drive with a glass of champagne. 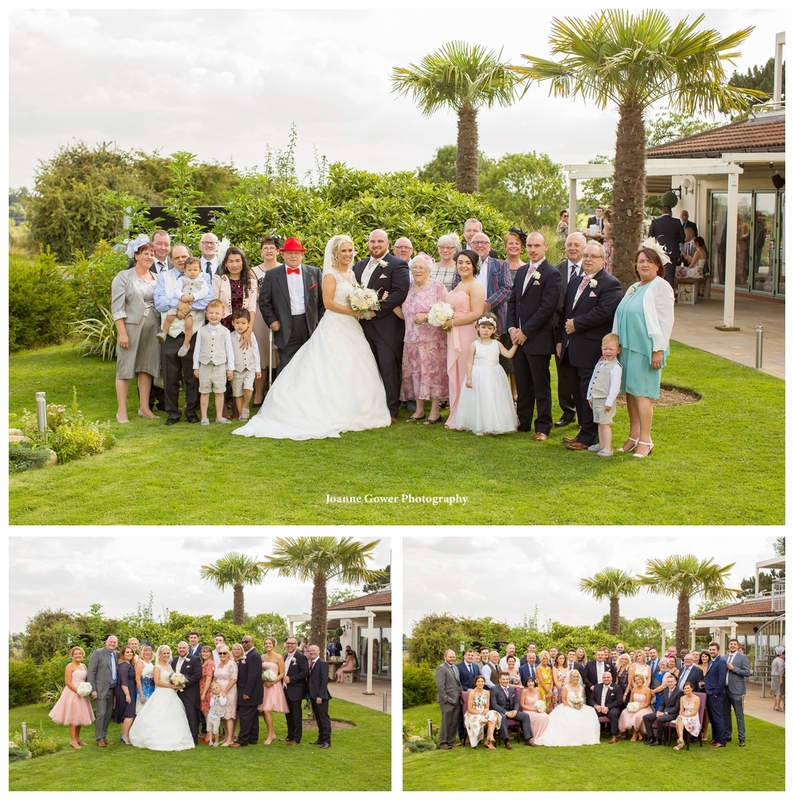 As always, we whipped through the group photographs as quickly as possible, so that the couple could enjoy as much time as possible with their guests. 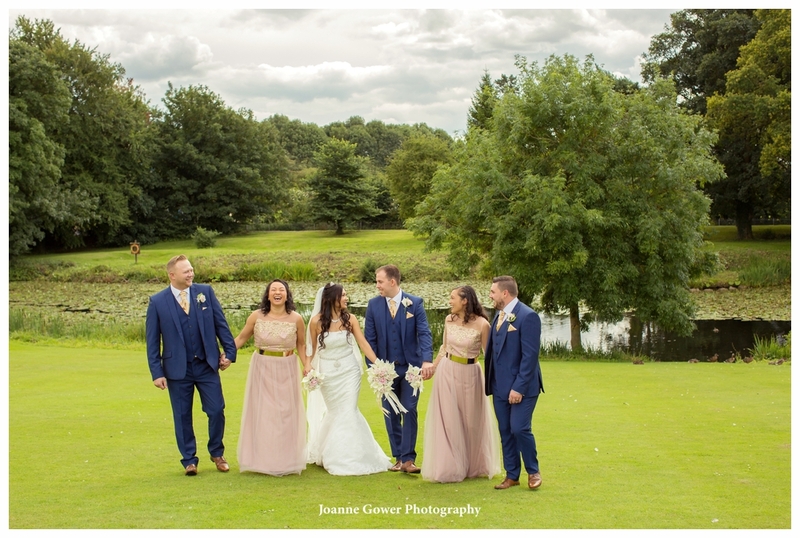 A big thanks to the bridesmaids and the groomsmen who were great sports and very helpful rounding everyone on in super quick time. 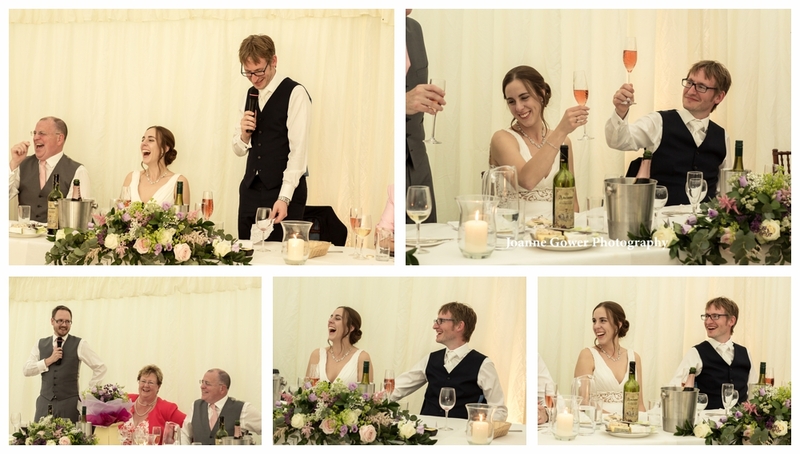 There was a huge cheer during the wedding breakfast, following by a chorus of ‘Old Faithful’ to celebrate the rugby result, after which the speeches commenced. 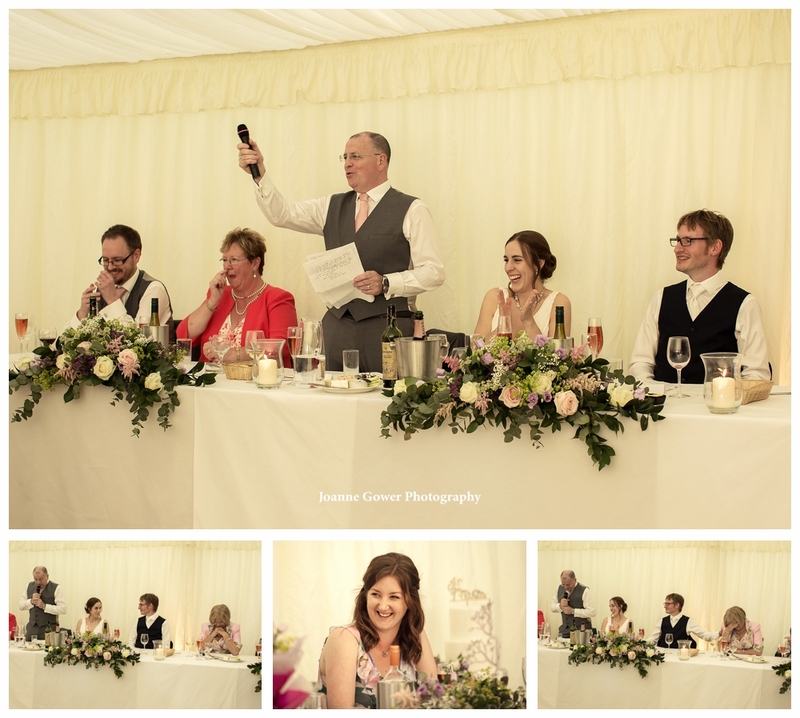 The grooms brother Clark delivered a very entertaining and perfectly judged speech, with humour and a touch of emotion. 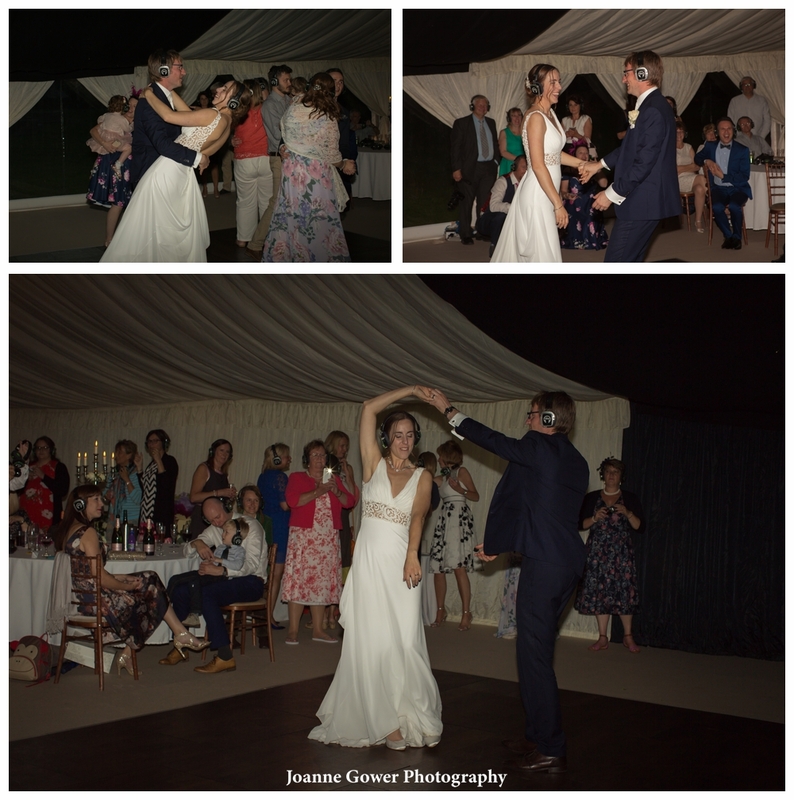 The evening reception was soon underway with more guests arriving and the couple took to the sparkling dance floor for their first dance. 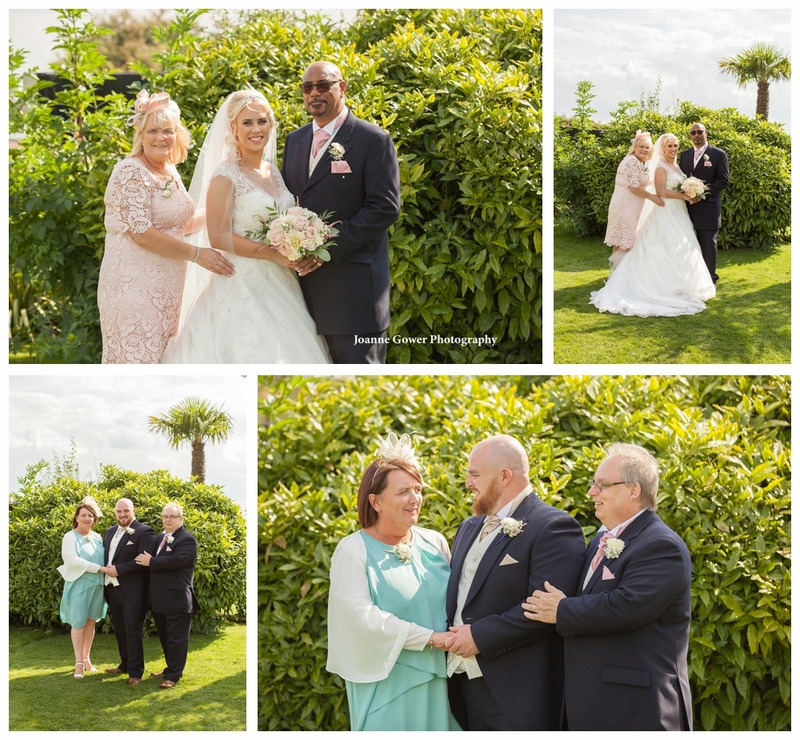 We had a truly wonderful day with Lora, Dudley and their family and friends, and we will them all every happiness in the future. 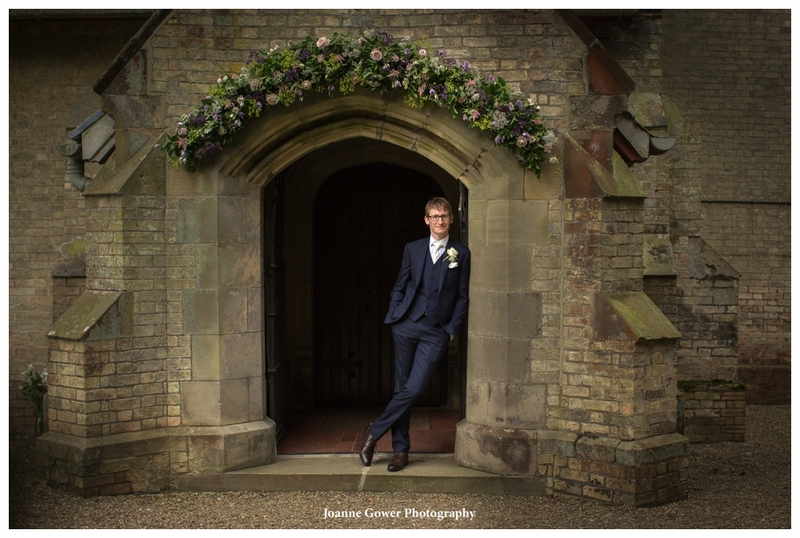 If you are getting married in Yorkshire or Lincolnshire and are looking for a wedding photographer, we'd love to hear from you! 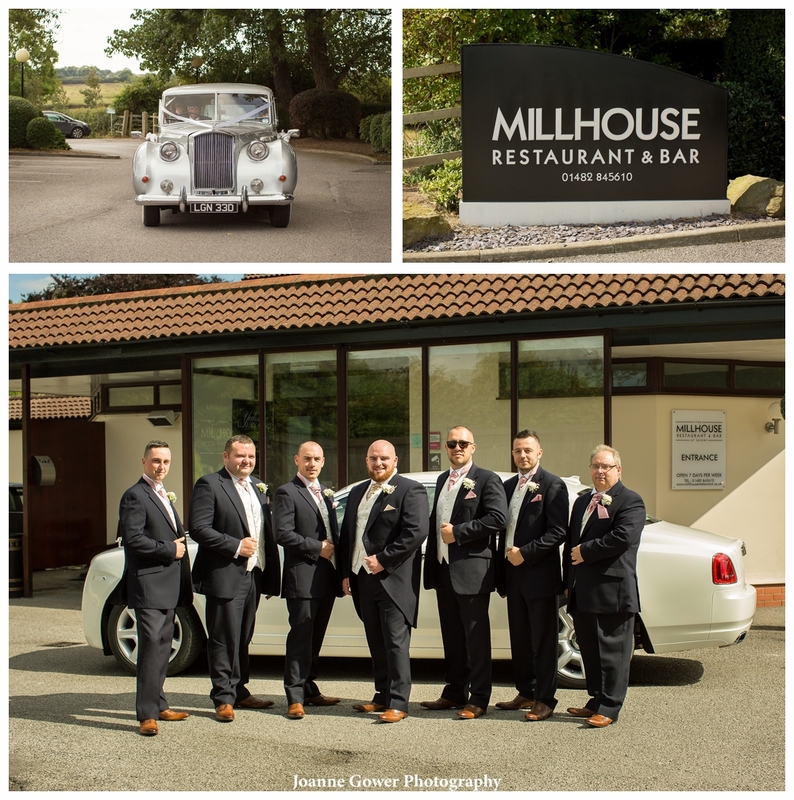 Give us a call on 01482 629430! 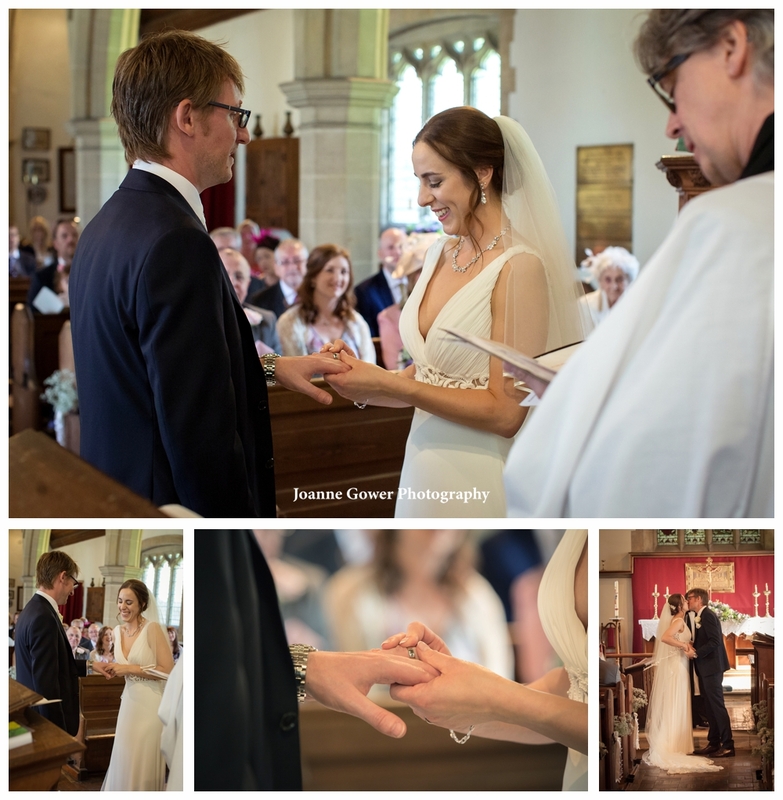 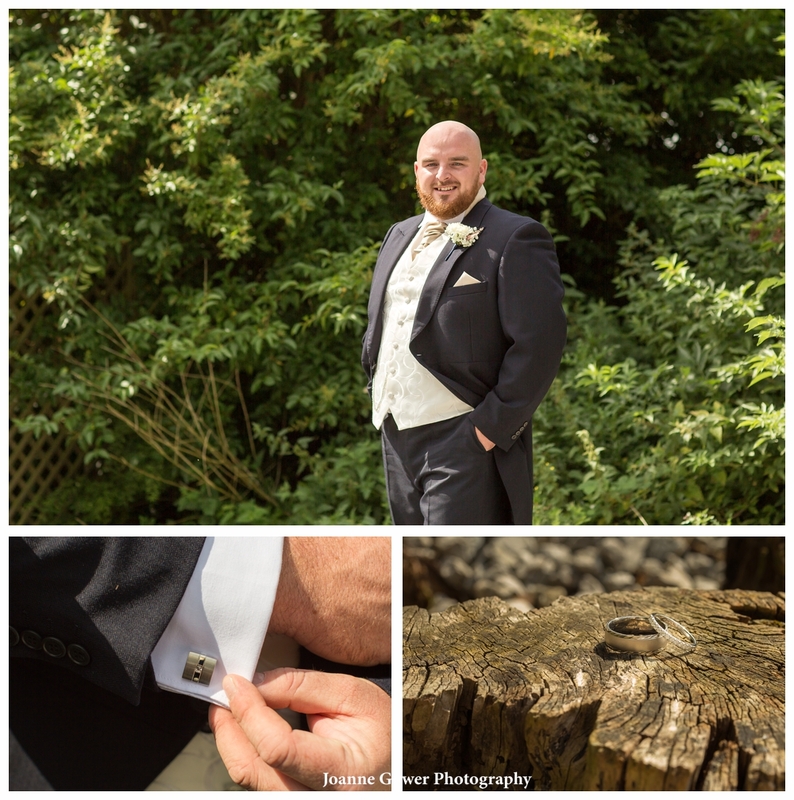 I am pleased to share the preview wedding photography for Kelly and Richard who were married on Friday, at St Swithins Church in Sproately. 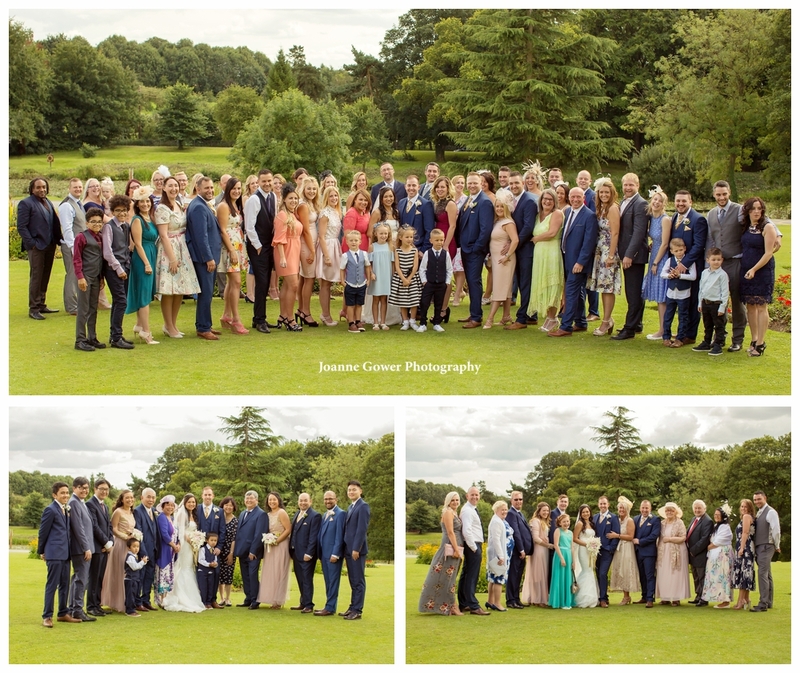 We had a lovely day with them and their family and friends. 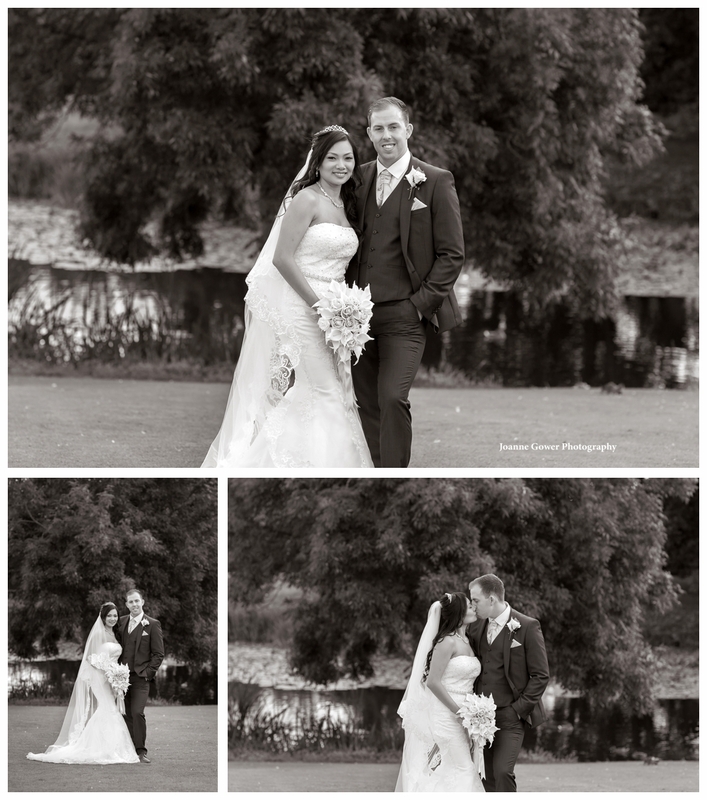 Kelly looked beautiful and elegant in her dress from Jaynes of Doncaster and Richards suit was from T M Lewis. 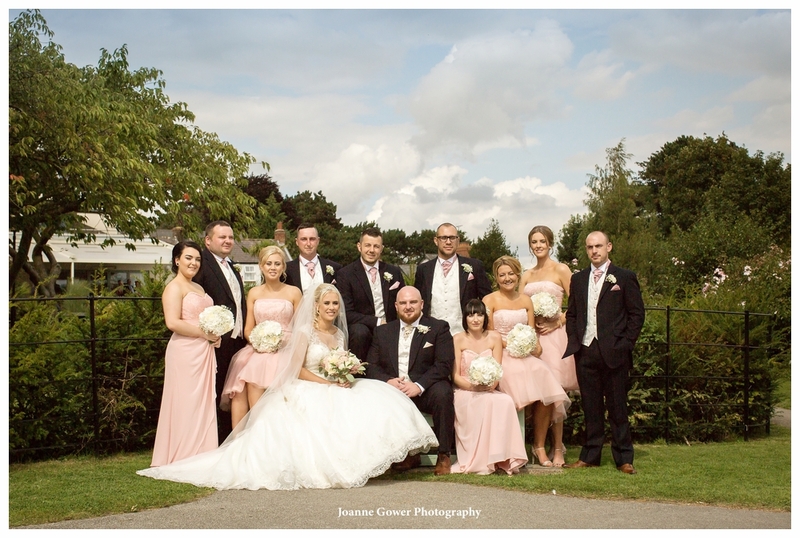 The were attended by bridesmaid Lucy who was great fun and a fantastic help throughout the day and best man Fred. 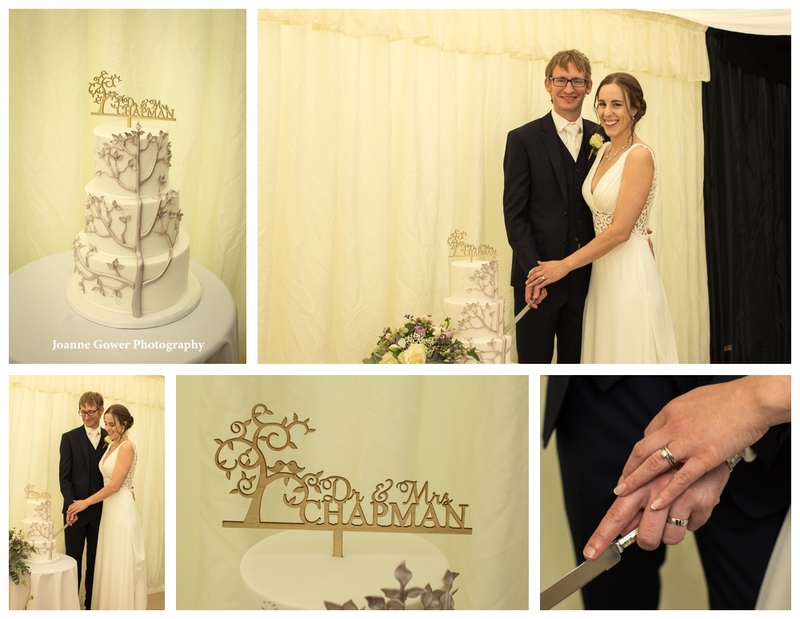 Flowers were by the Daisy Chain, Skirlaugh and the cake was made for them by Boucakez of Preston. 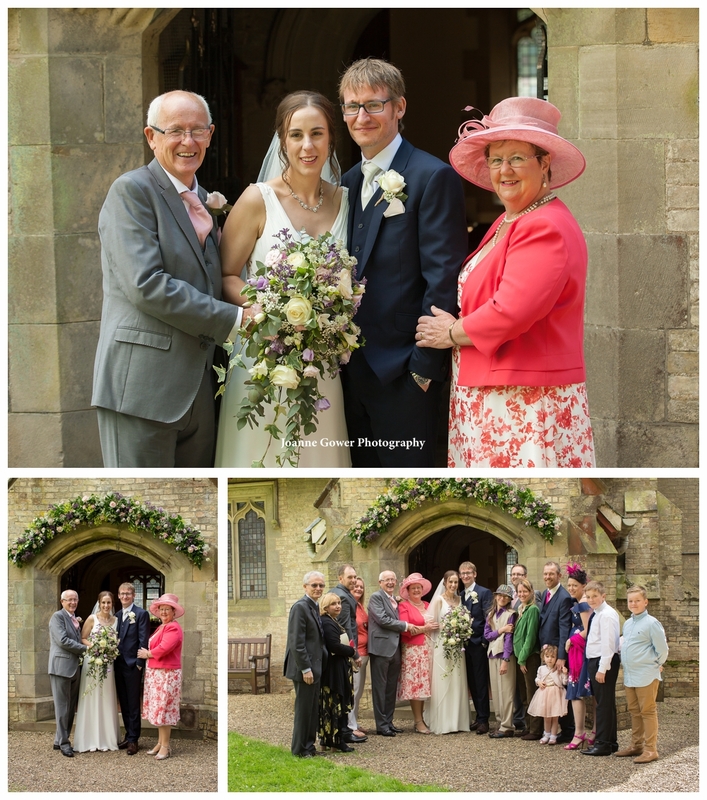 Our thanks to the vicar Jon, who is always so welcoming and makes our job so much easier. 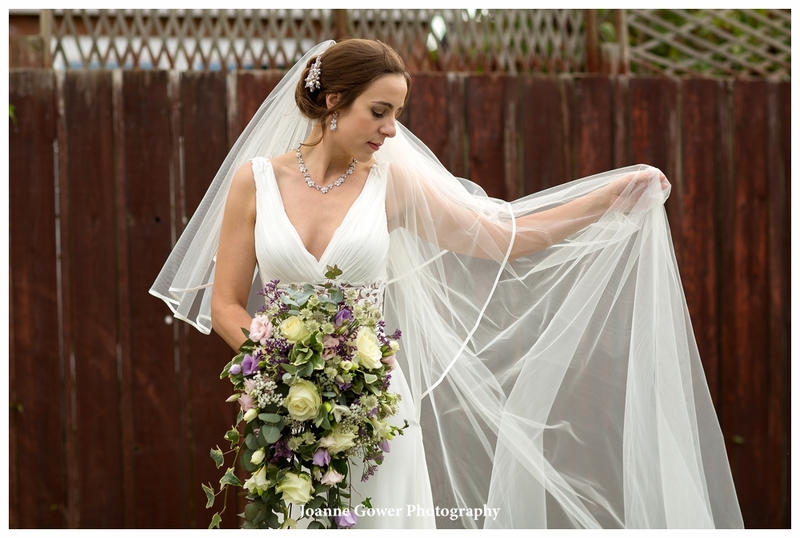 The weather was mostly on our side, though the wind played havoc with Kelly’s dress and veil! 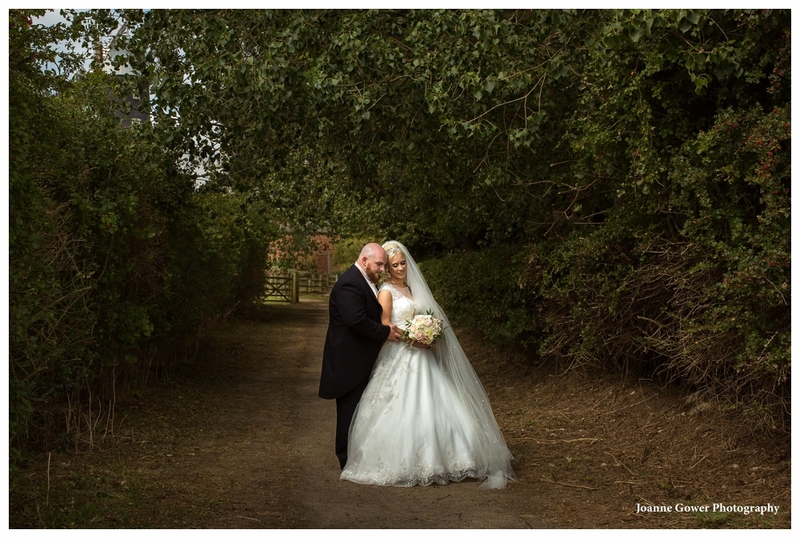 Just as we arrived at Wyton Abbey, there was a rumble of thunder and the heavens briefly opened! 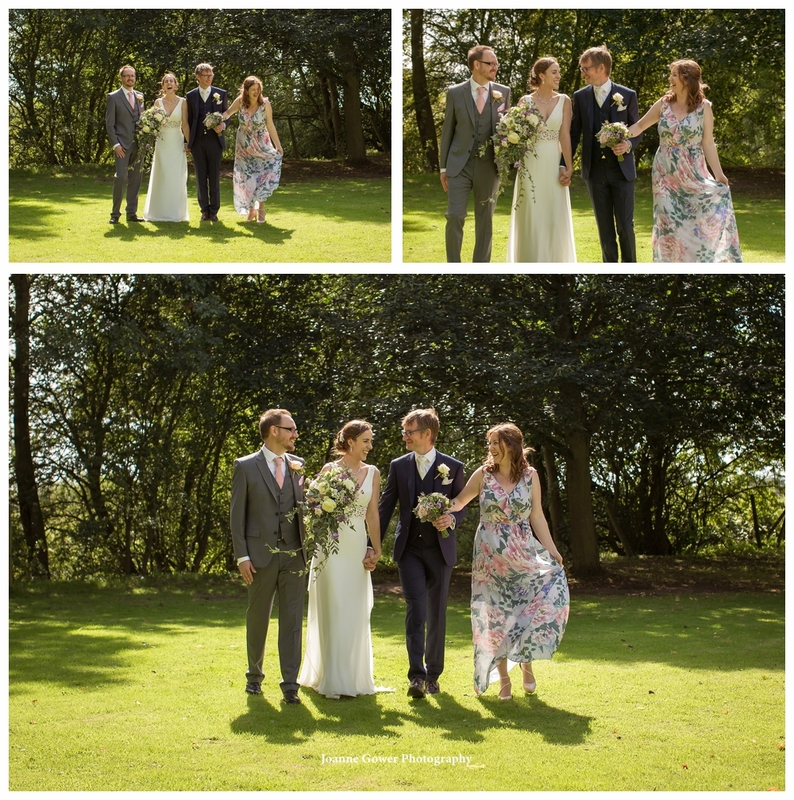 Bright summer sunshine soon followed and we were able to complete the photographs as planned outside. 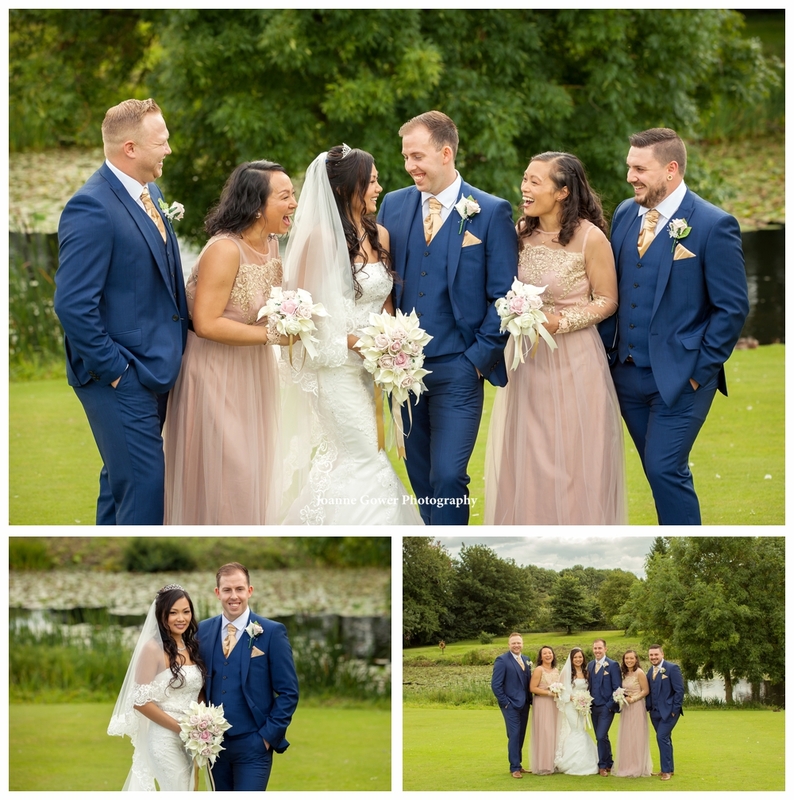 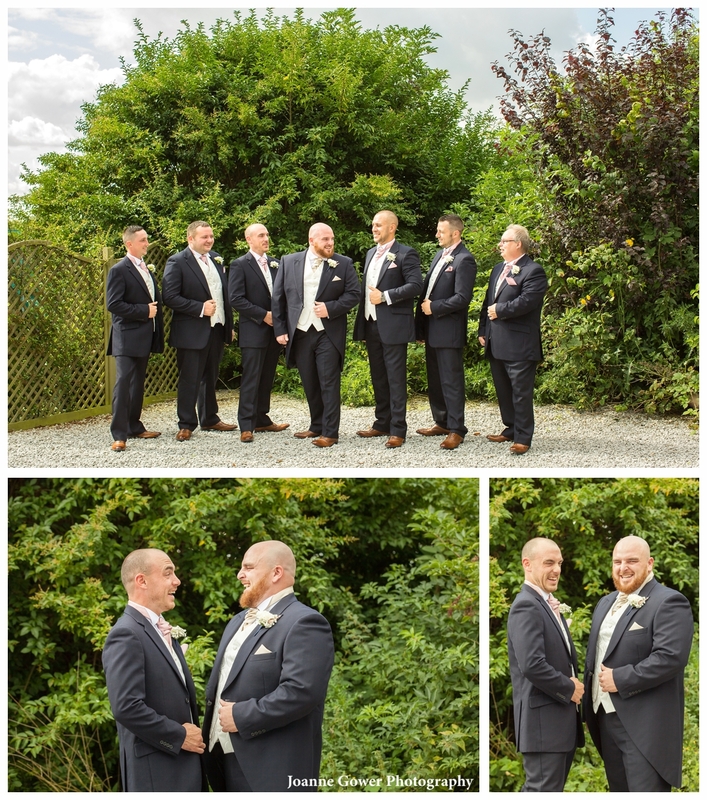 Kelly and Richard very much wanted their wedding photography to be as informal as possible and we had a lot of laughs during the photos of the bridal party. 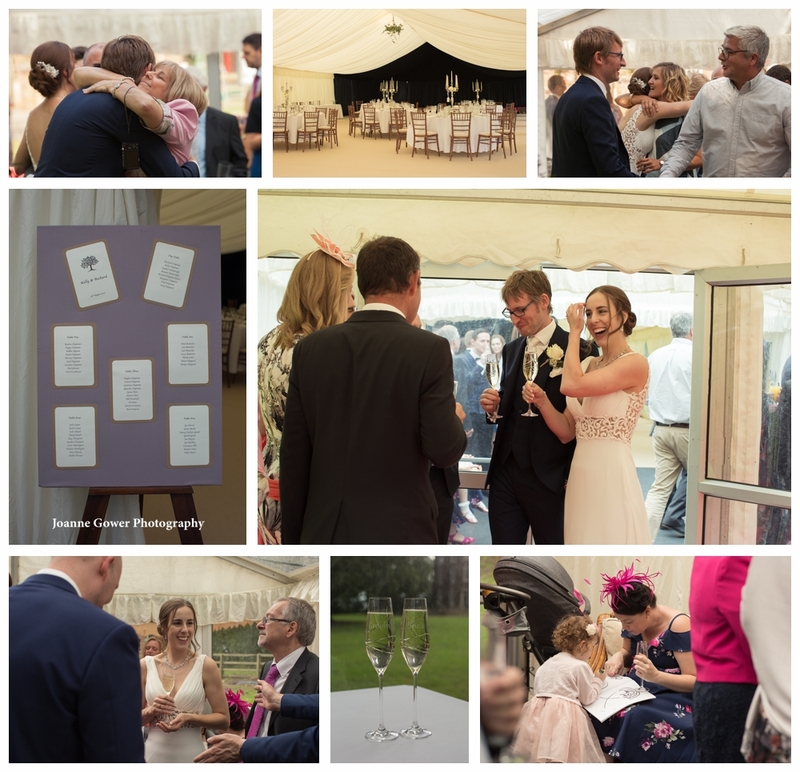 Guests enjoyed a celebratory drink and canapés before dinner and when they sat down to eat, we took a much needed break. 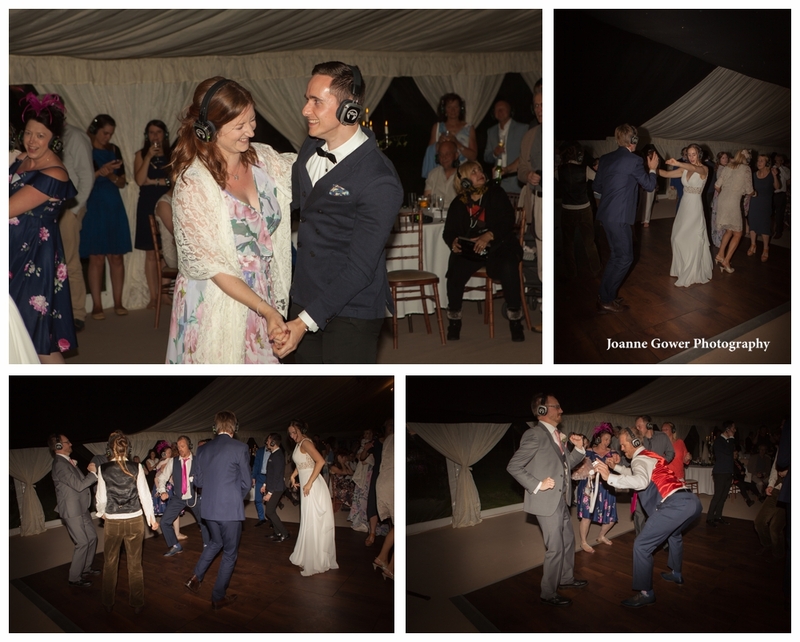 The evening celebrations were soon underway and the happy couple took to the floor with their headphones for the ‘silent disco’. 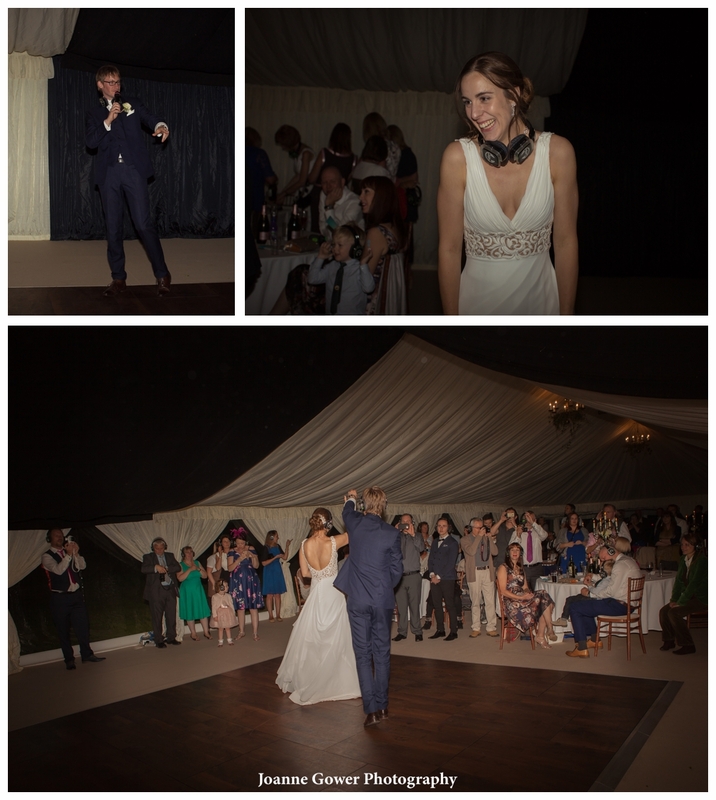 I have to say it was quite a surreal experience photographing everyone dancing when we couldn’t hear the music but it did make us chuckle! 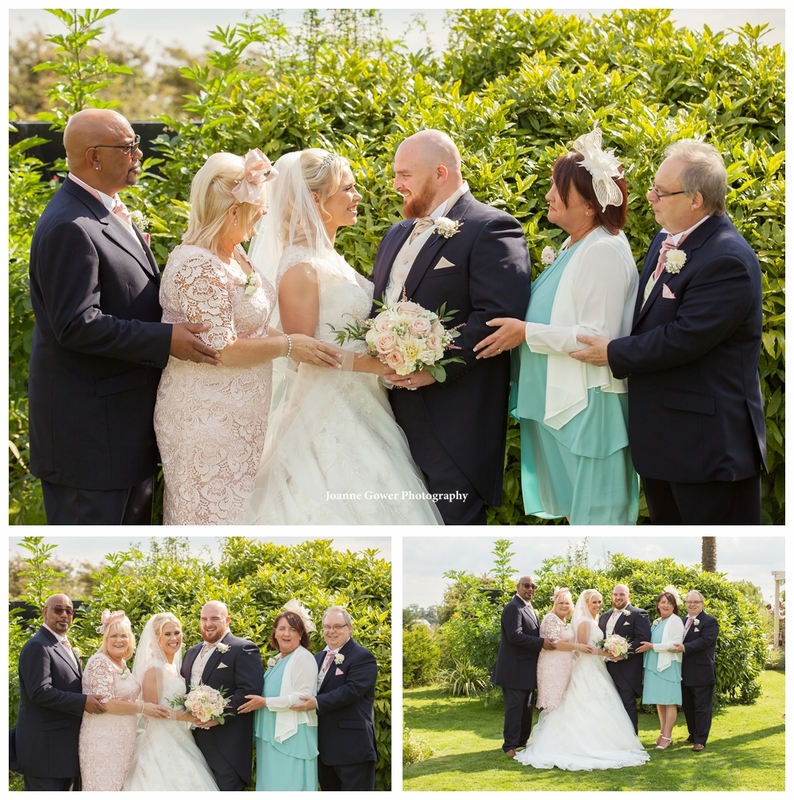 Kelly and Richard are a really lovely couple and it was evident to everyone how much they love each other. 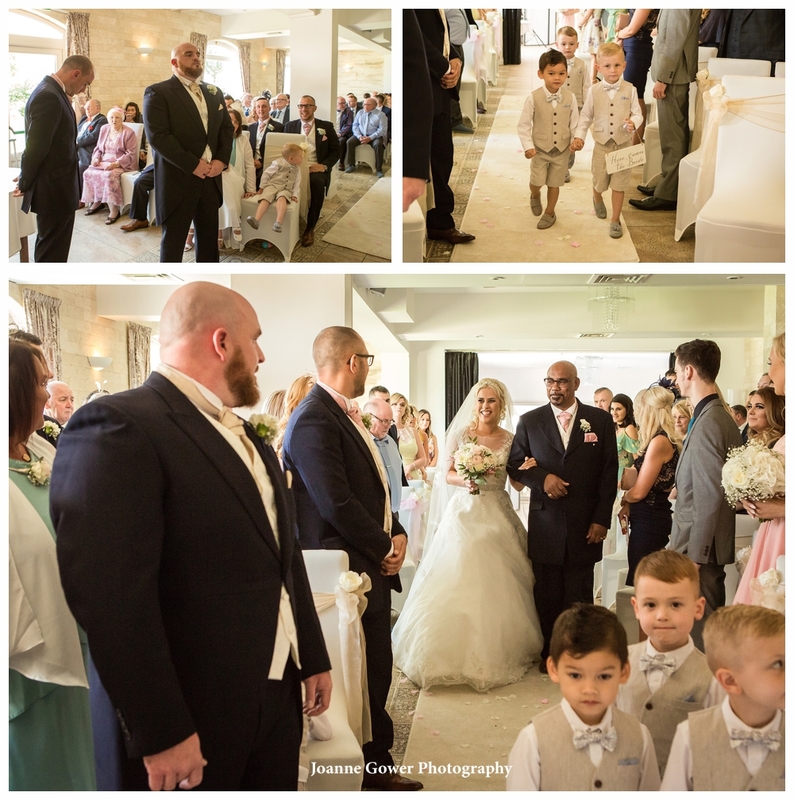 We wish them every happiness in their future life together. 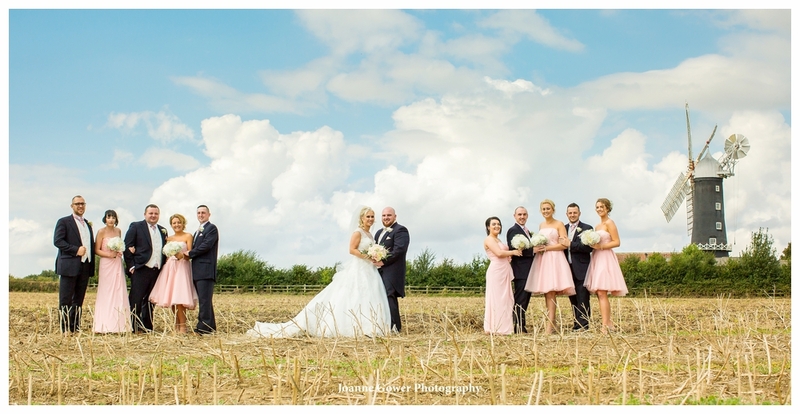 If you are getting married in East Yorkshire and are looking for a wedding photographer, wee'd love to hear from you! 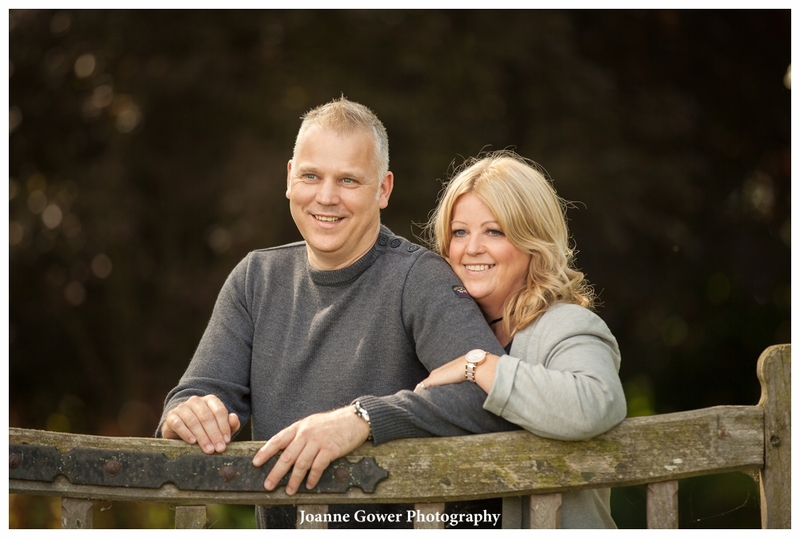 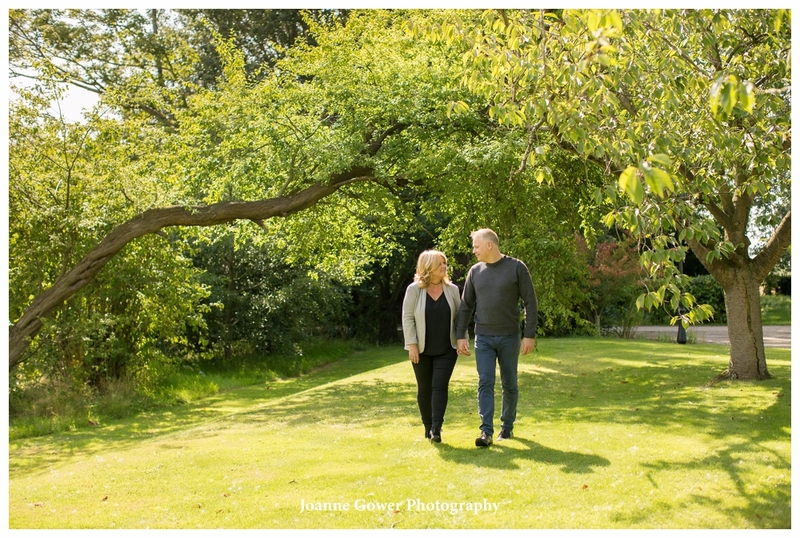 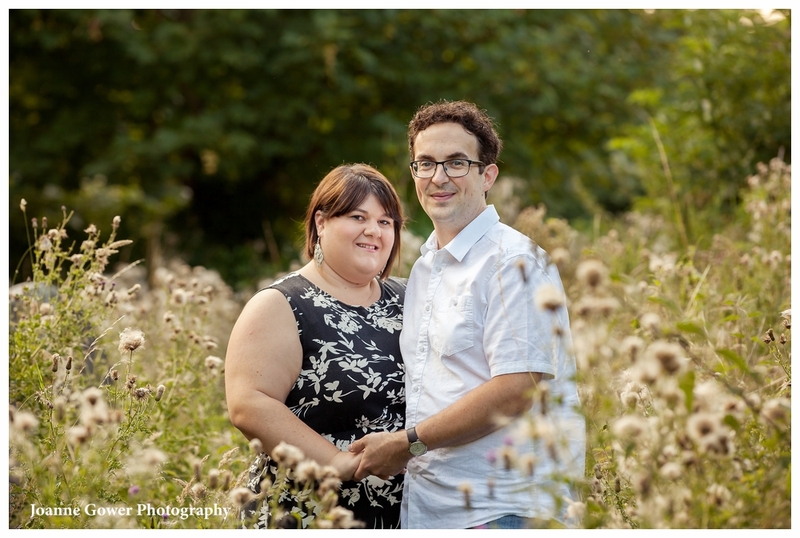 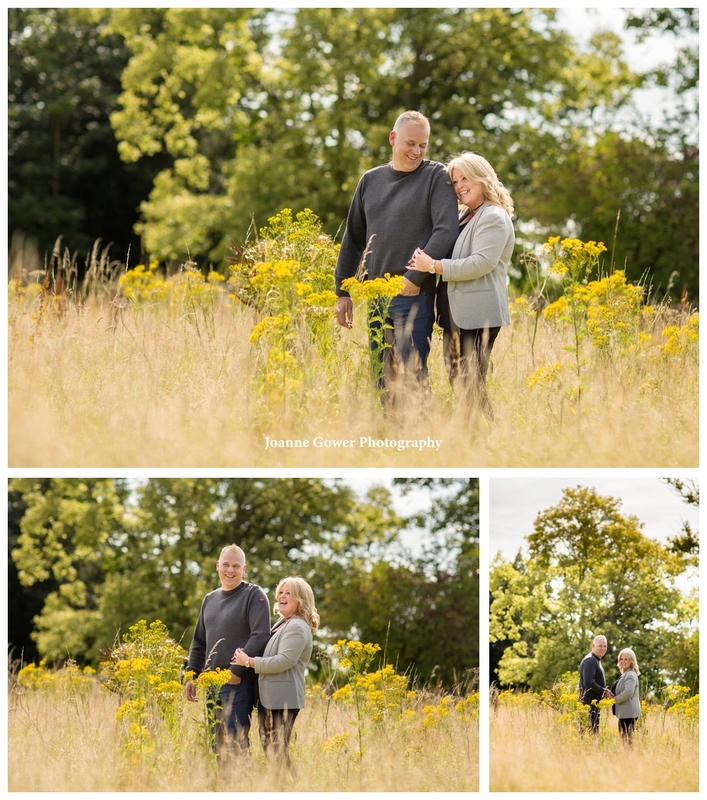 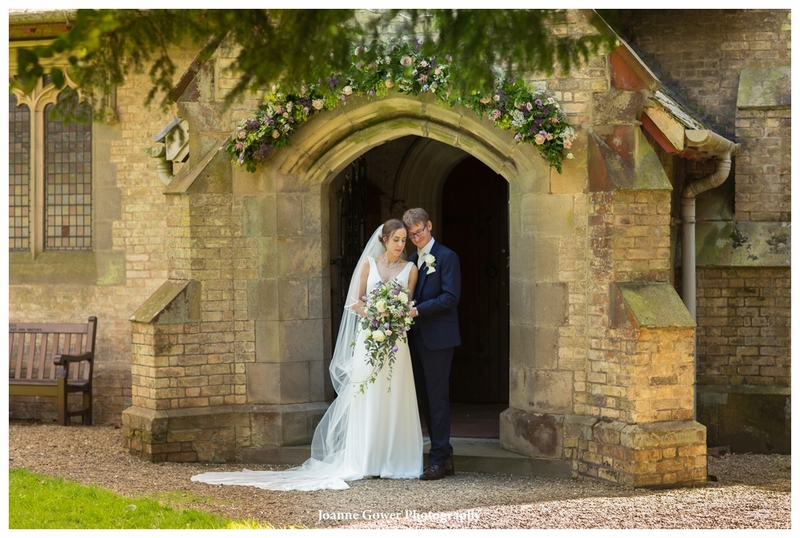 I am really pleased to share the pre wedding photography for Alison and Jason who are getting married in September at Tickton Grange, near Beveley. 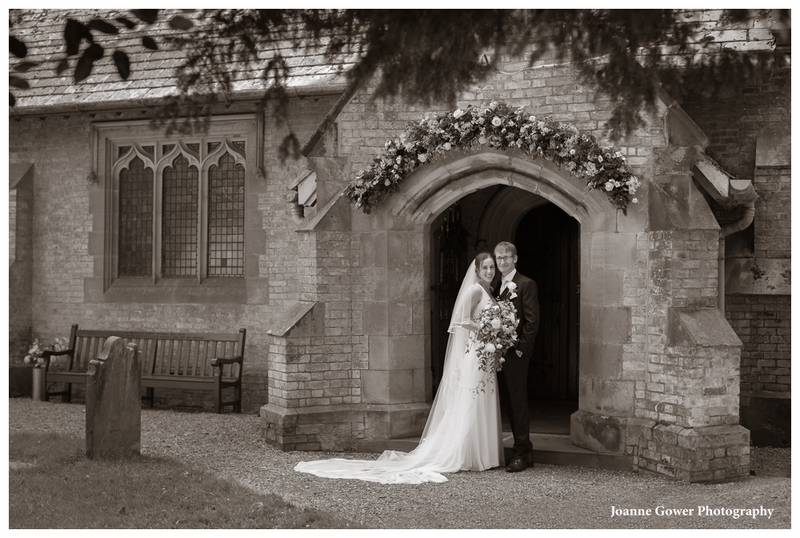 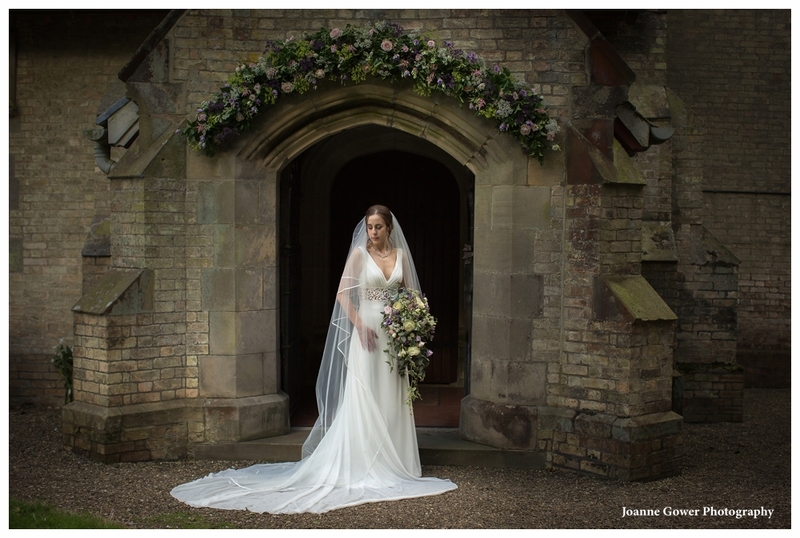 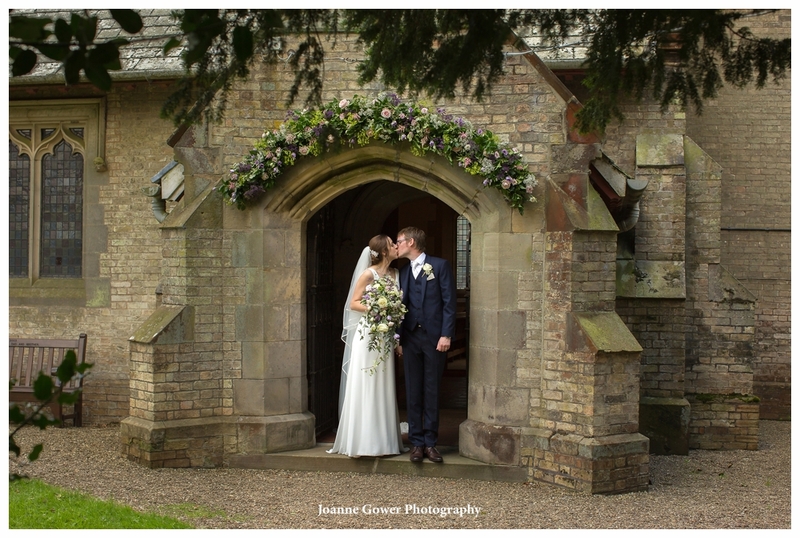 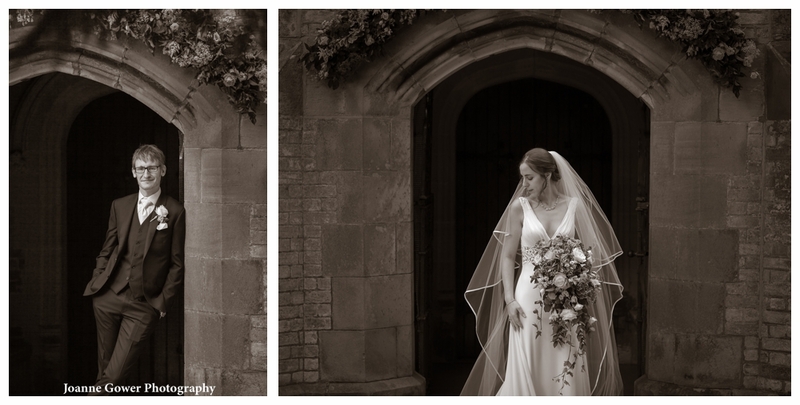 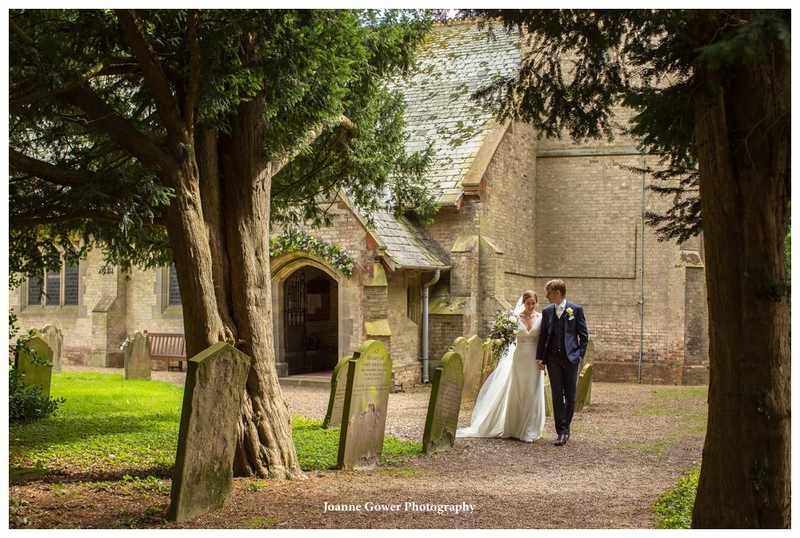 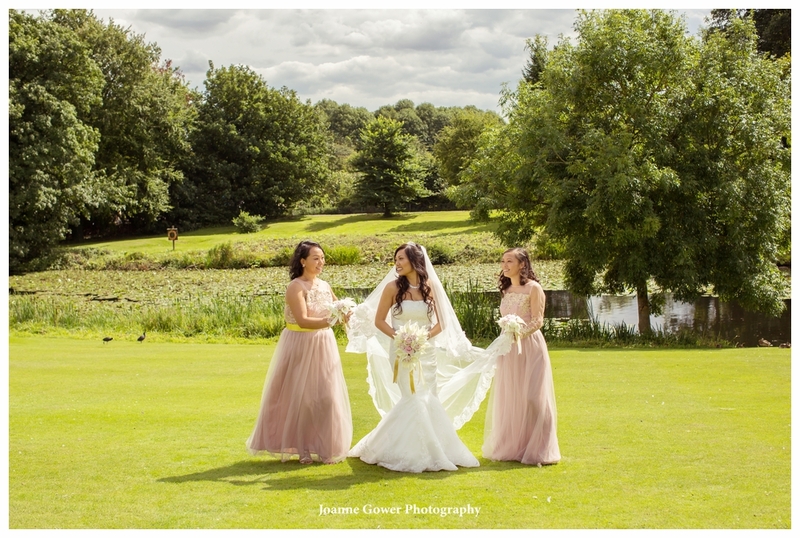 Tickton Grange is a lovely venue for wedding photography and we always enjoy working there. 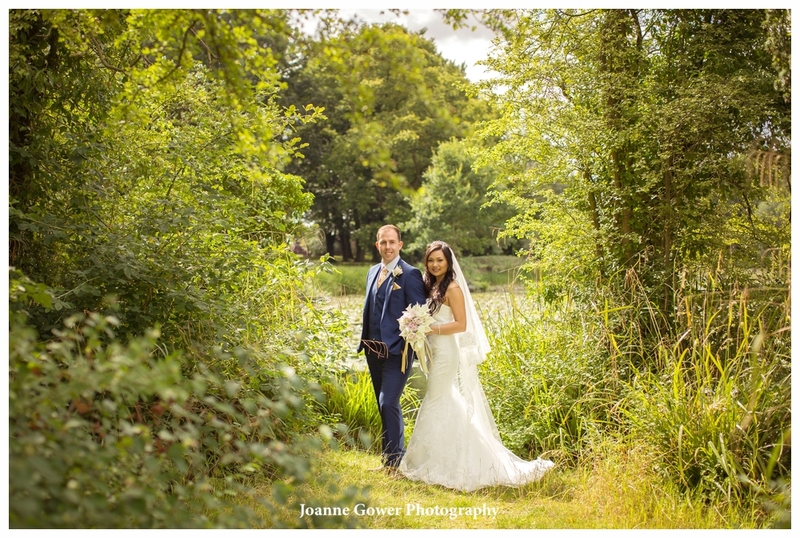 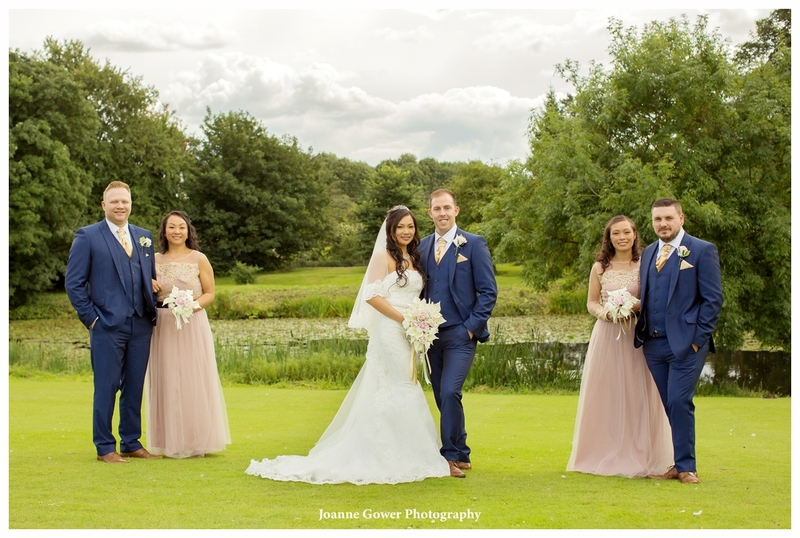 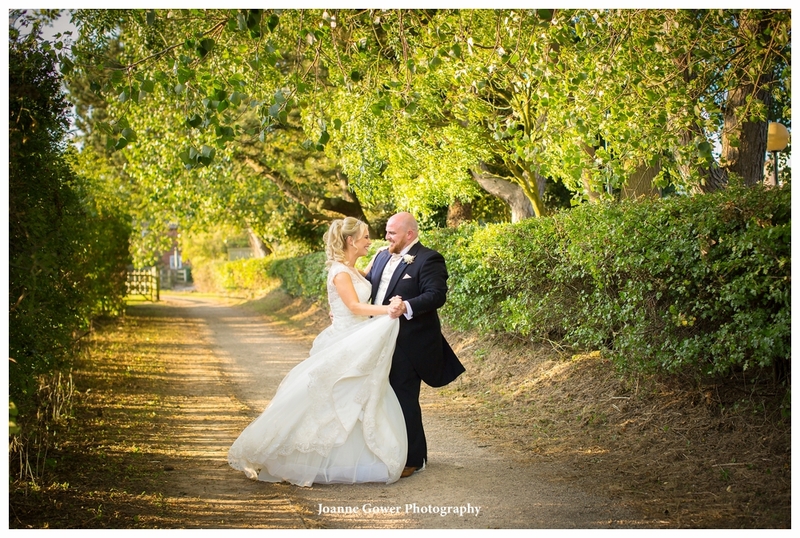 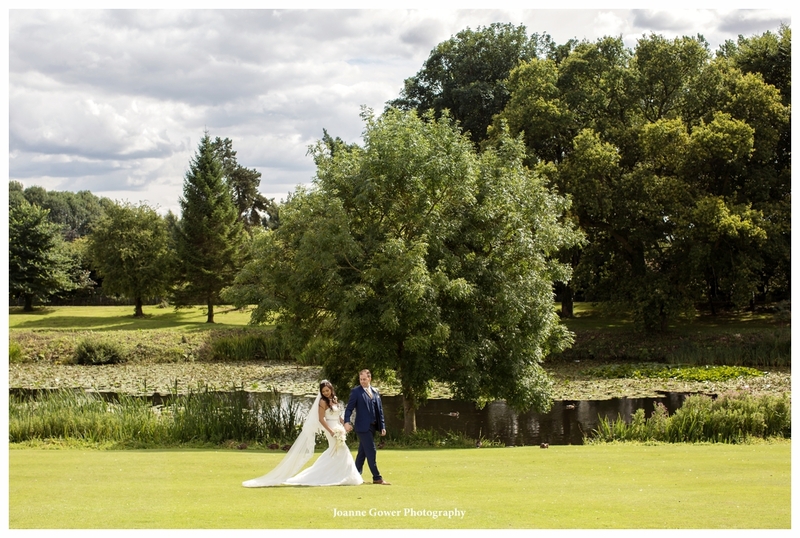 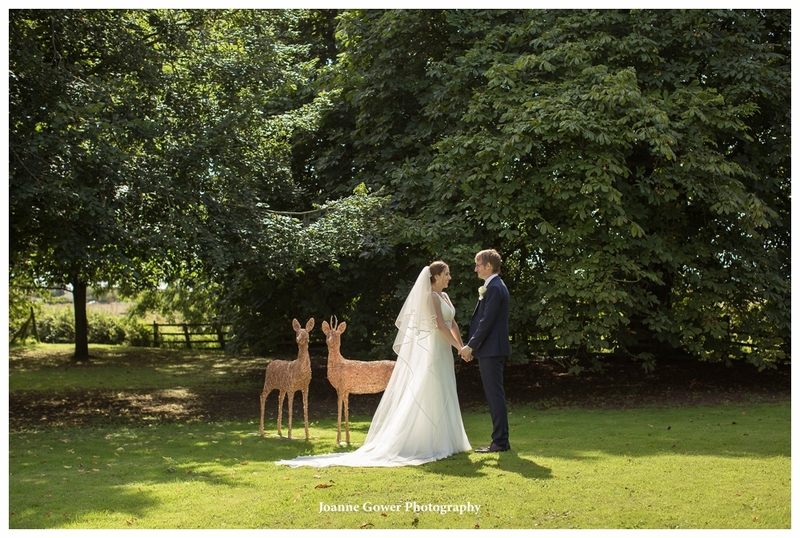 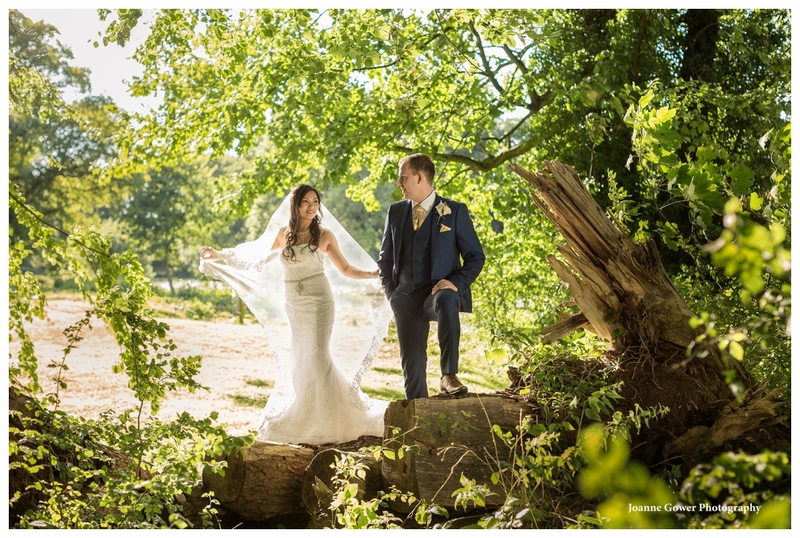 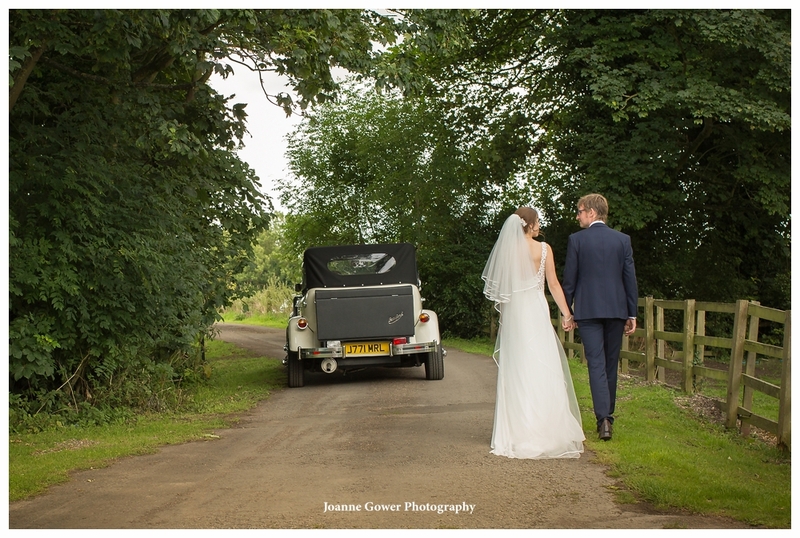 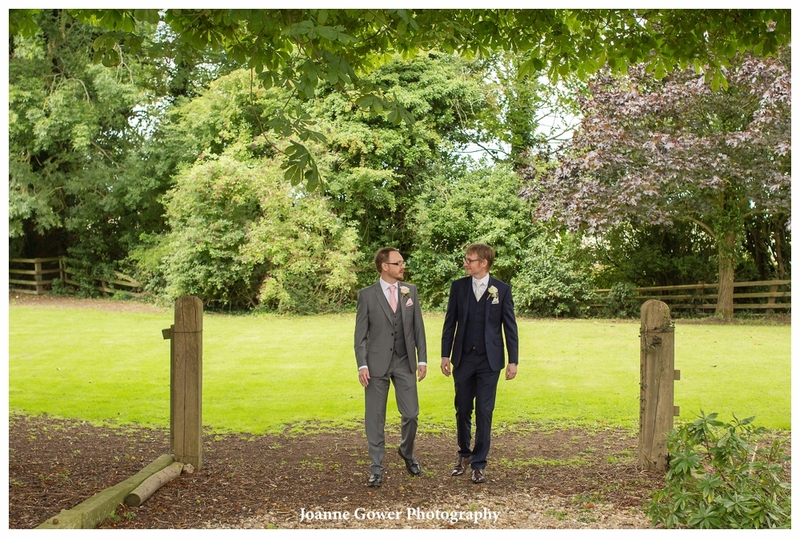 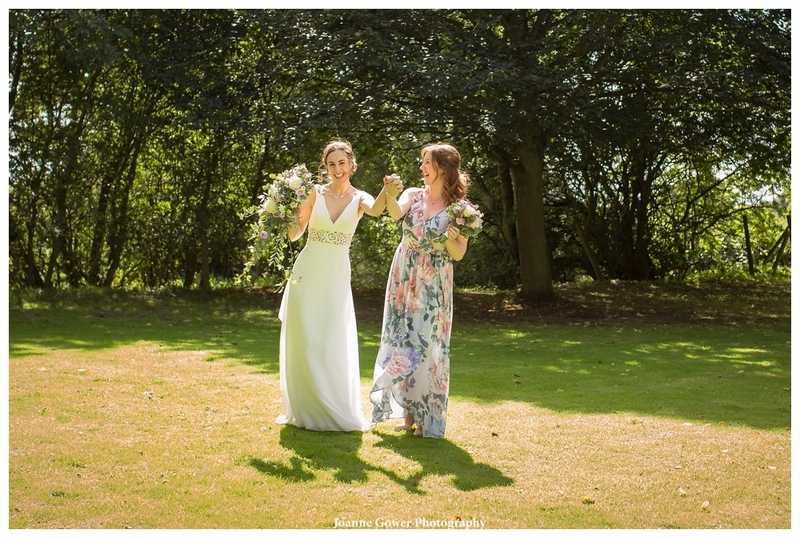 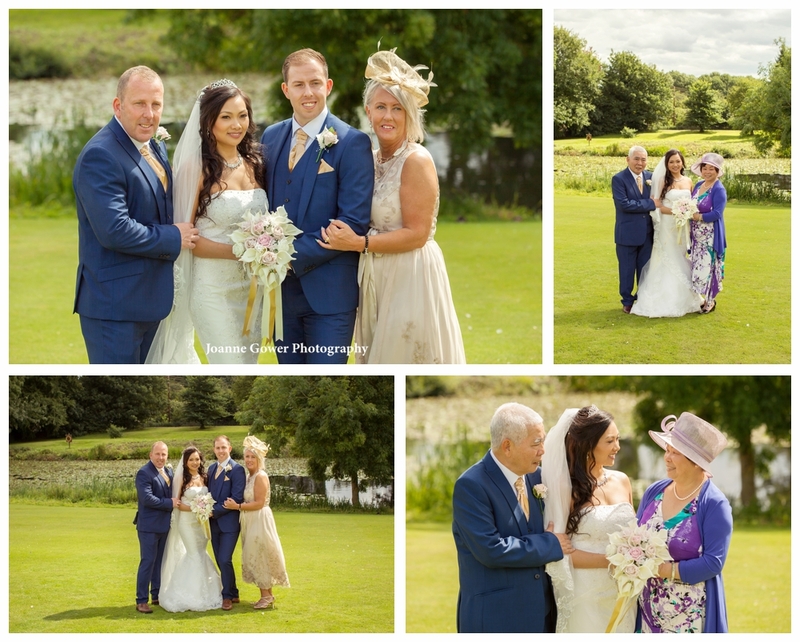 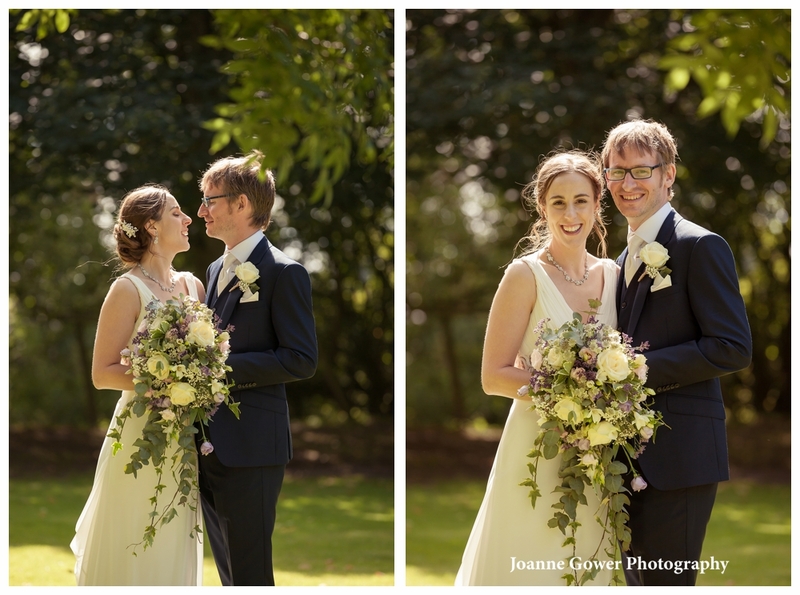 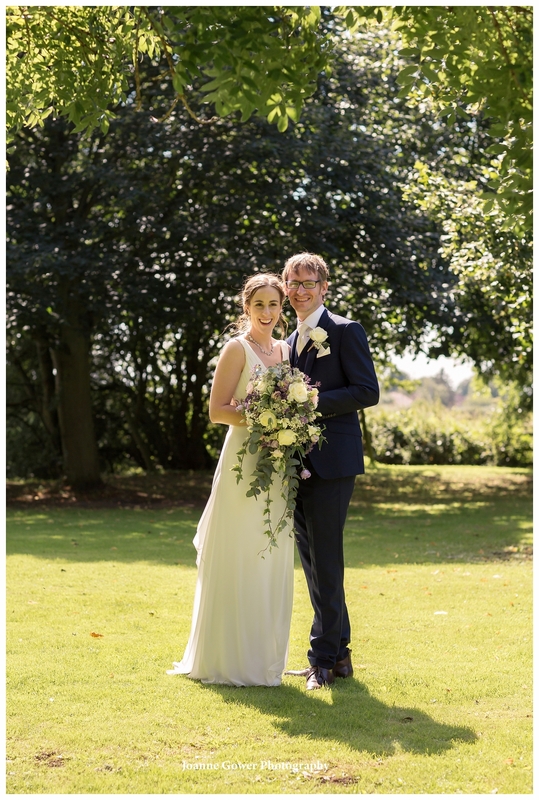 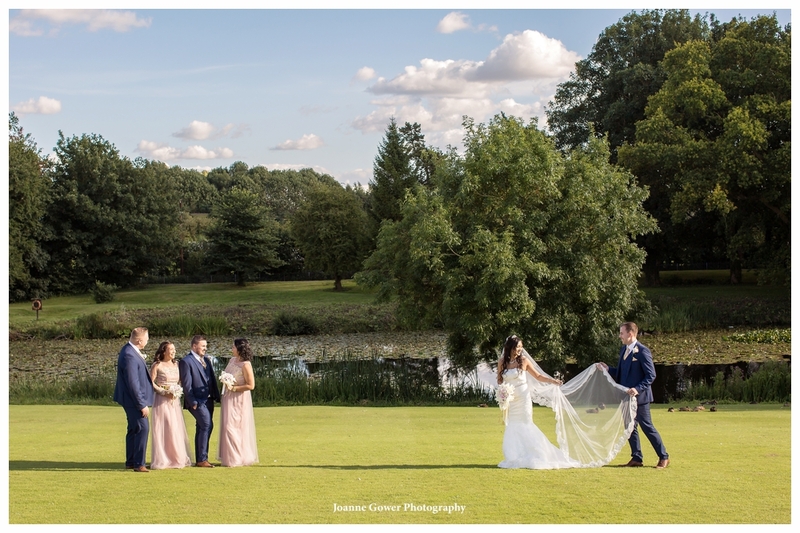 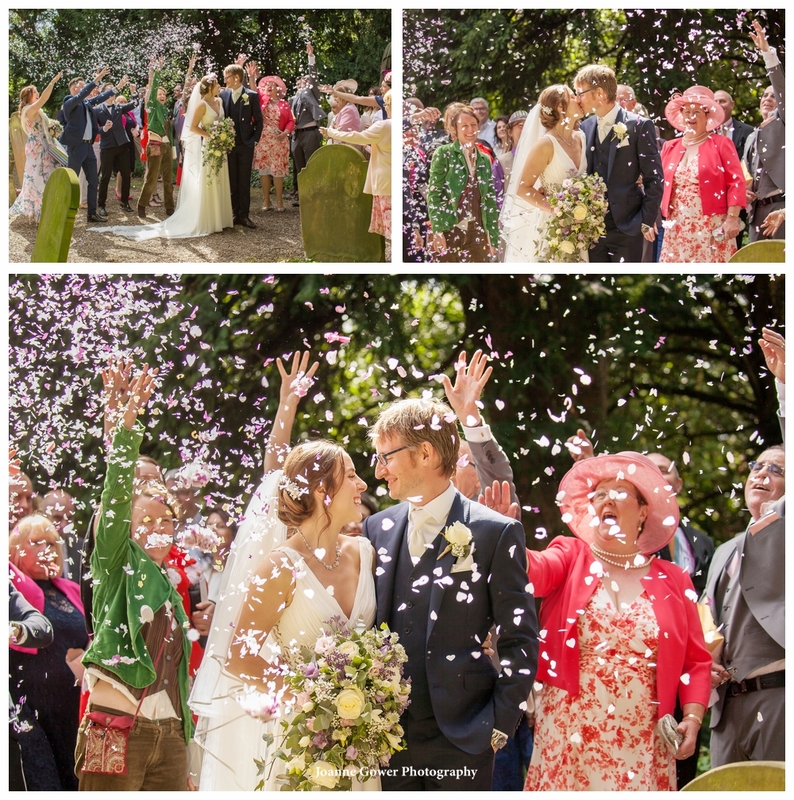 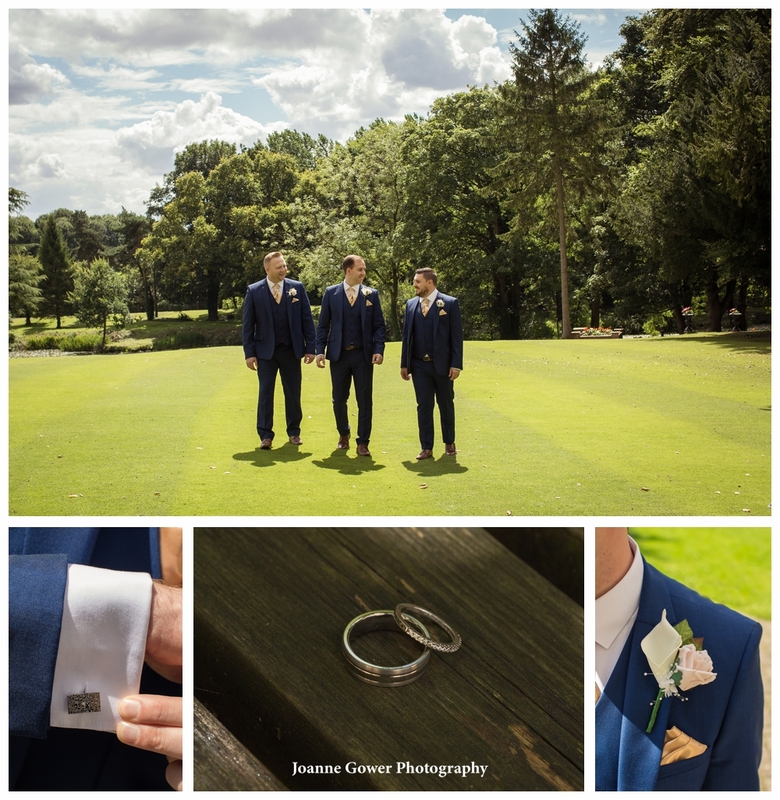 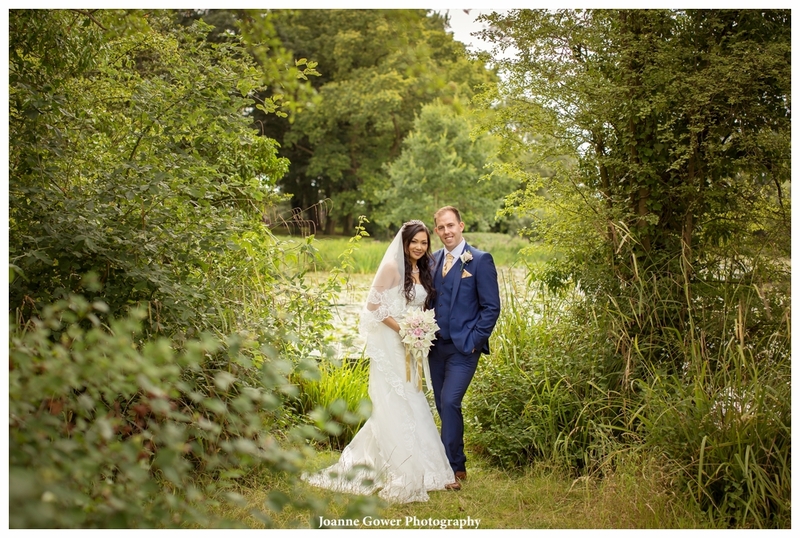 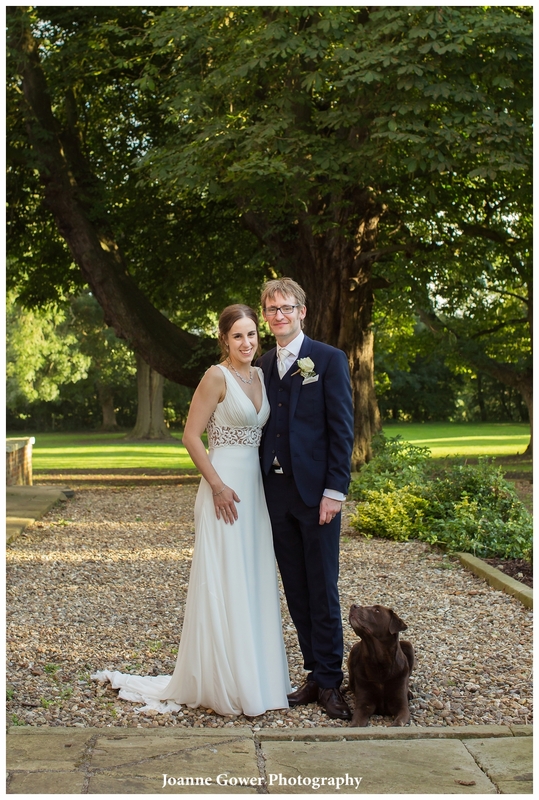 Yesterday was no exception, as we had lovely summer sunshine and an equally lovely couple to work with! 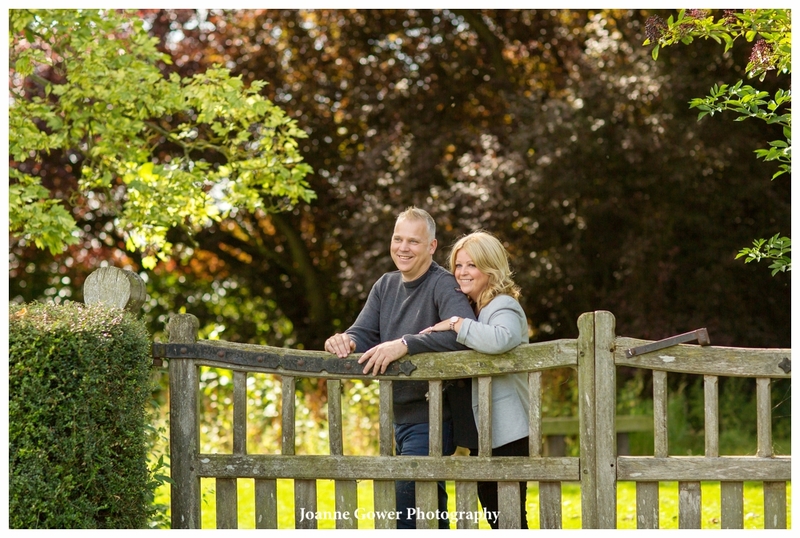 We have know Alison a long time and it is a real privilege to be doing her wedding phtoography for her! 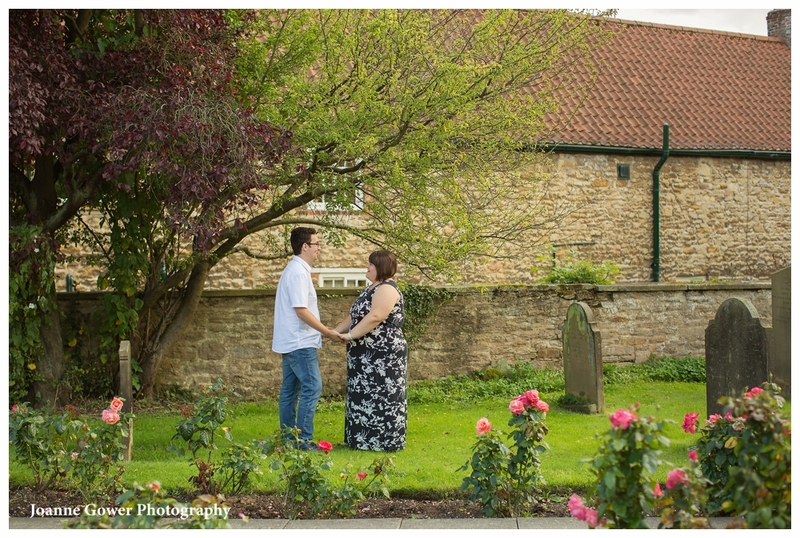 We cannot wait for the big day! 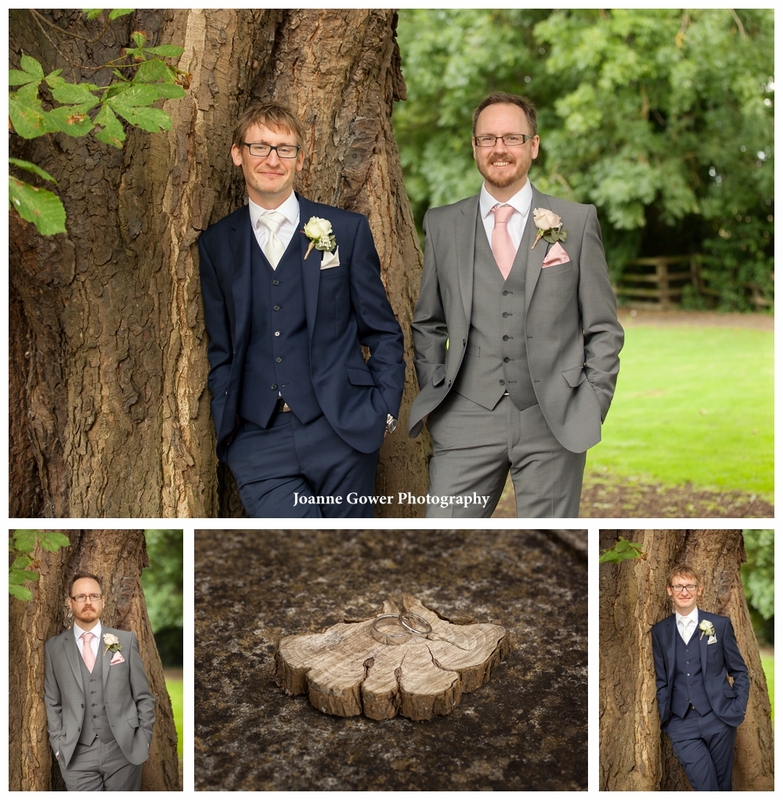 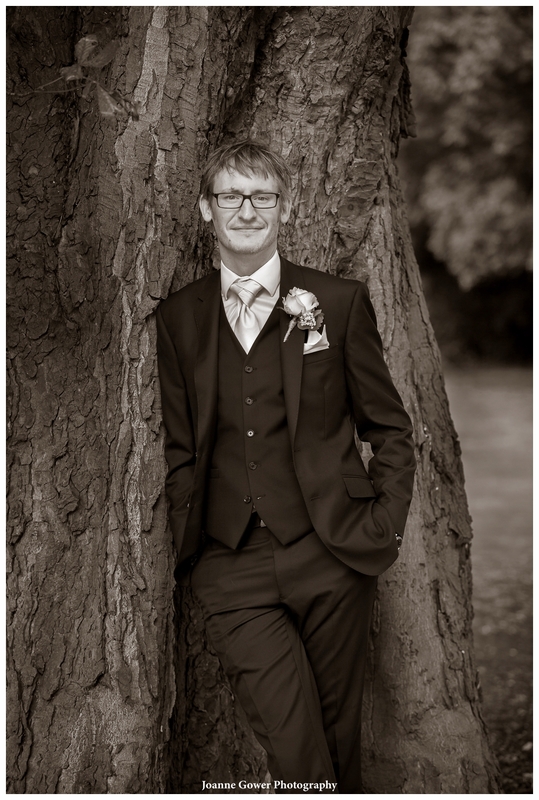 If you are getting married at the fabulous Tickton Grange, near Beverley, East Yorkshire and are looking for a wedding photographer, please give us a call on 01482 629430. 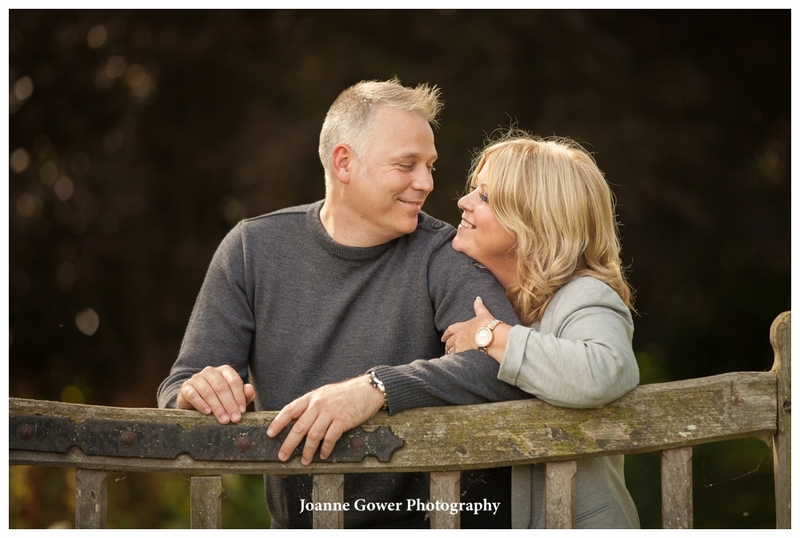 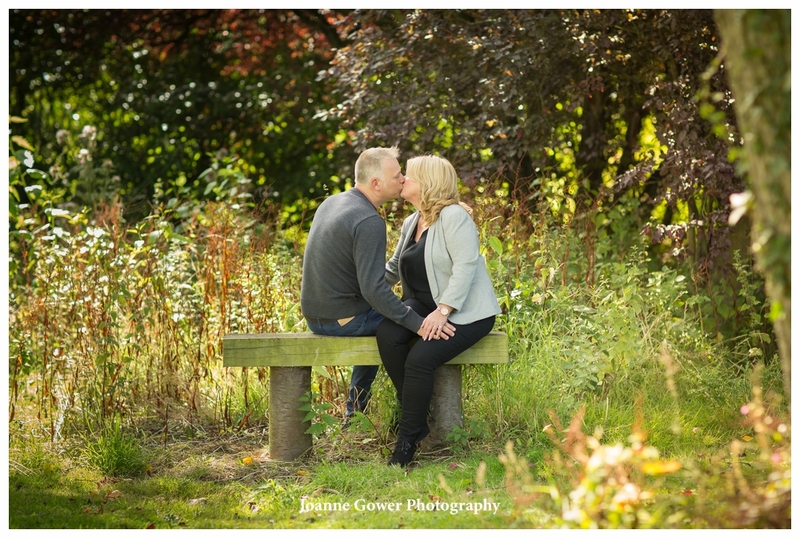 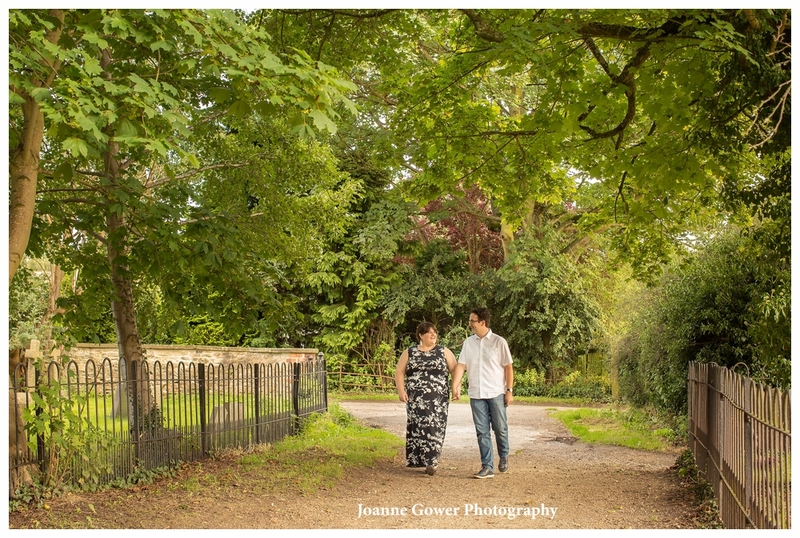 I am delighted to share the images from our pre wedding photo shoot with Rebecca and Matthew. 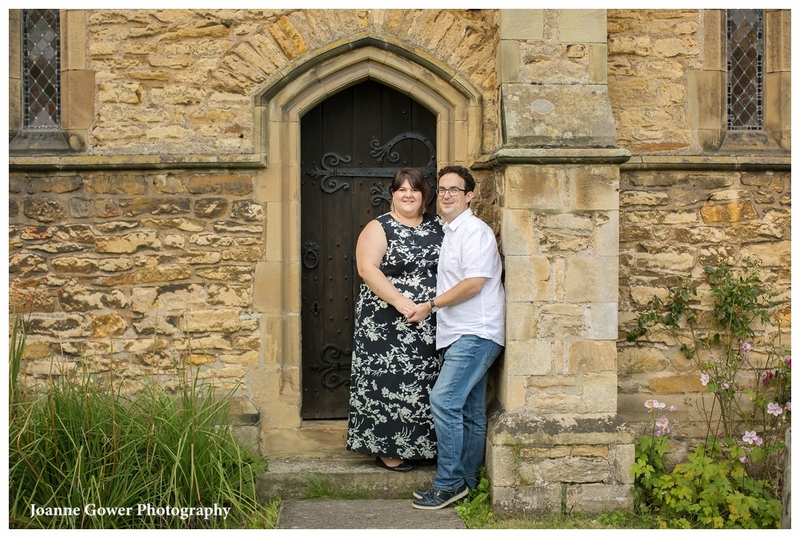 We met up with them yesterday at Elloughton Church where they will be making their vows in a few weeks time. 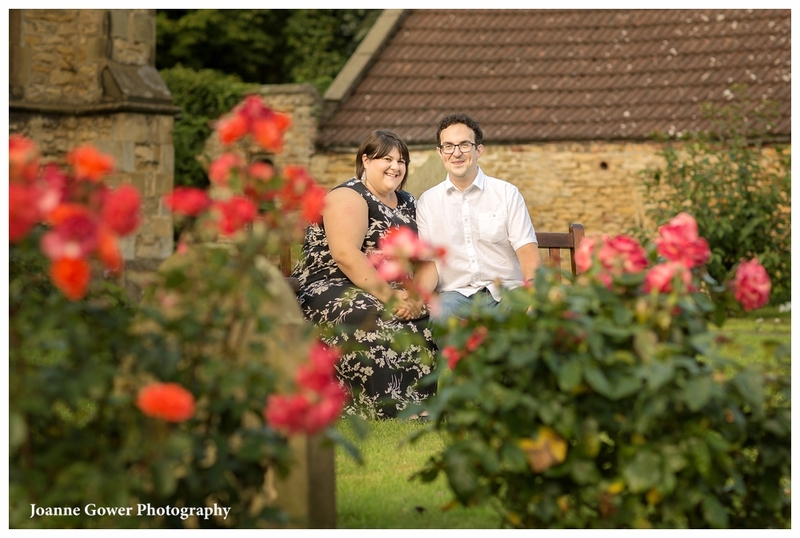 The evening was pleasant and warm and we had a lovely time with them both chatting about their arrangements for the big day. 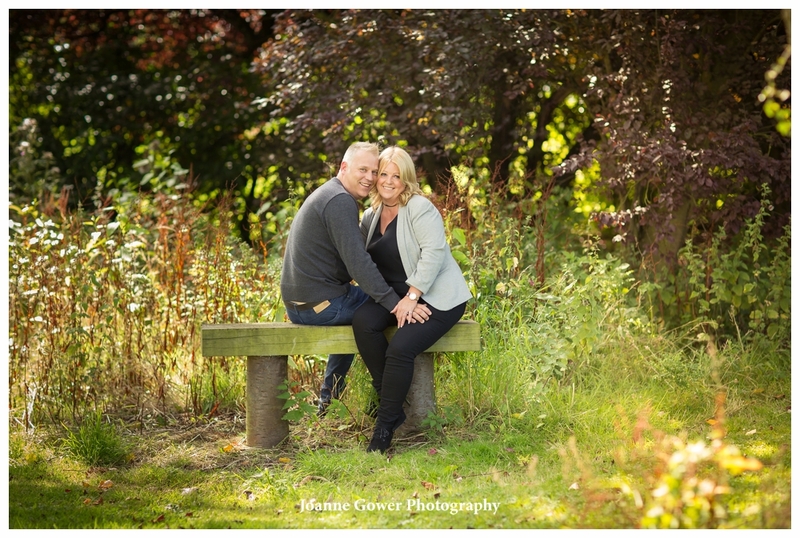 We are very much looking forward to working with them on the wedding day! 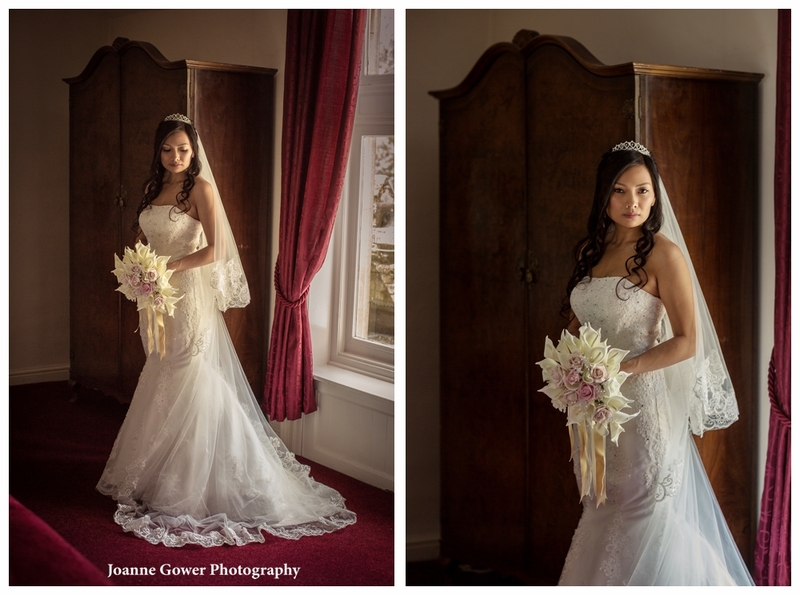 We had a wonderful day on Saturday photographing the wedding of Chi and Gavin, at the fabulous Cave Castle Hotel. 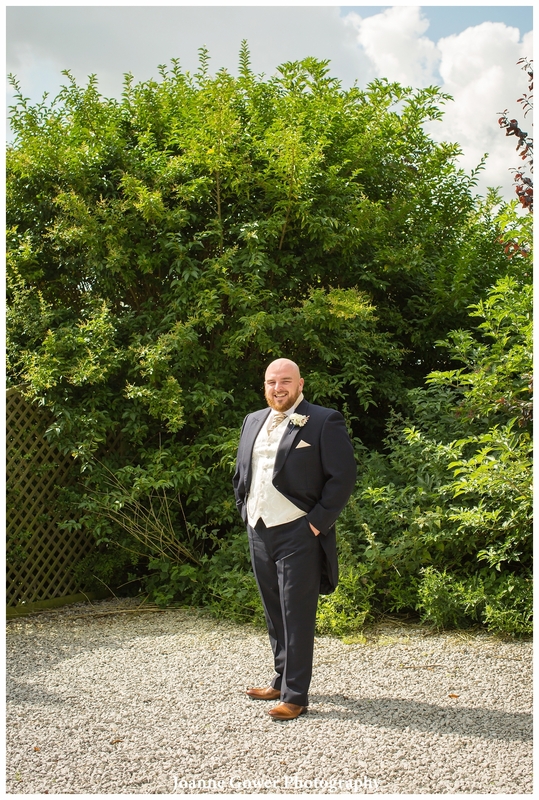 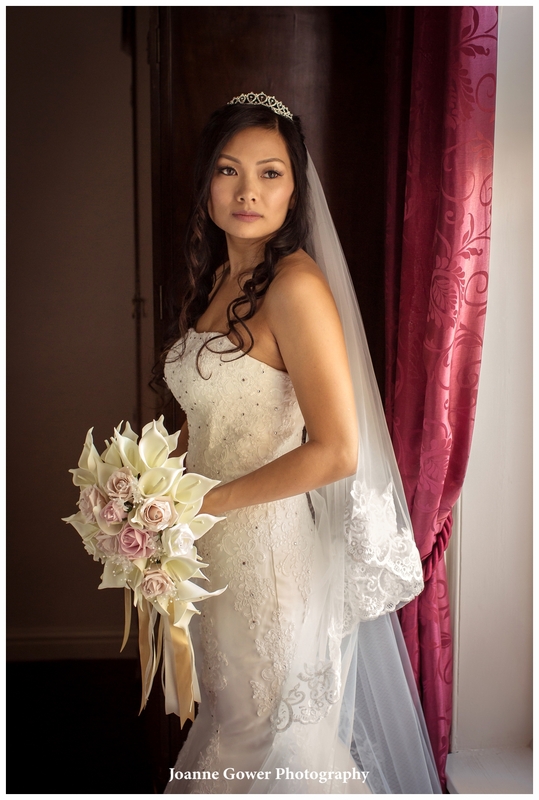 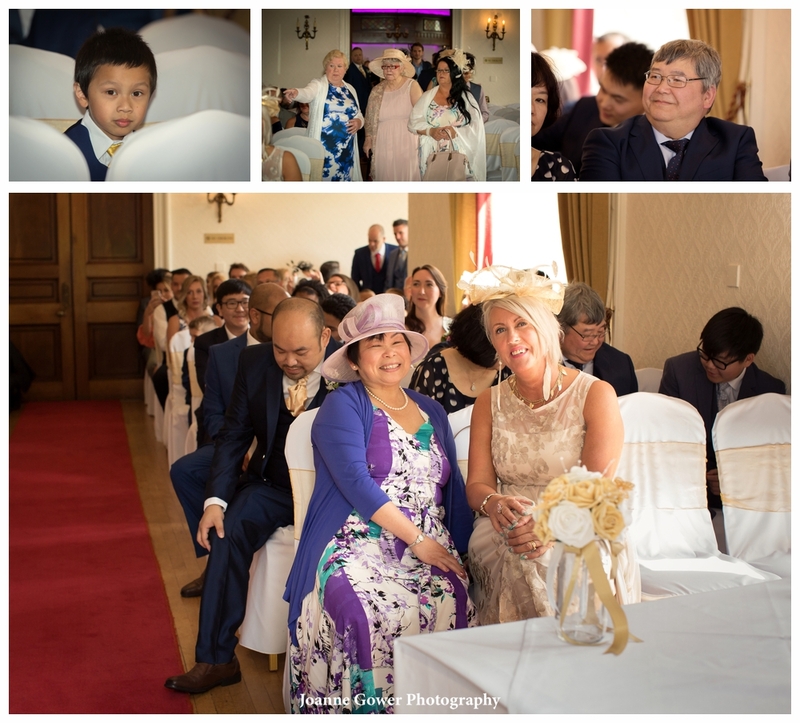 It was a lovely one for us to photograph, and we very much enjoyed the mix of English and Chinese tradition. 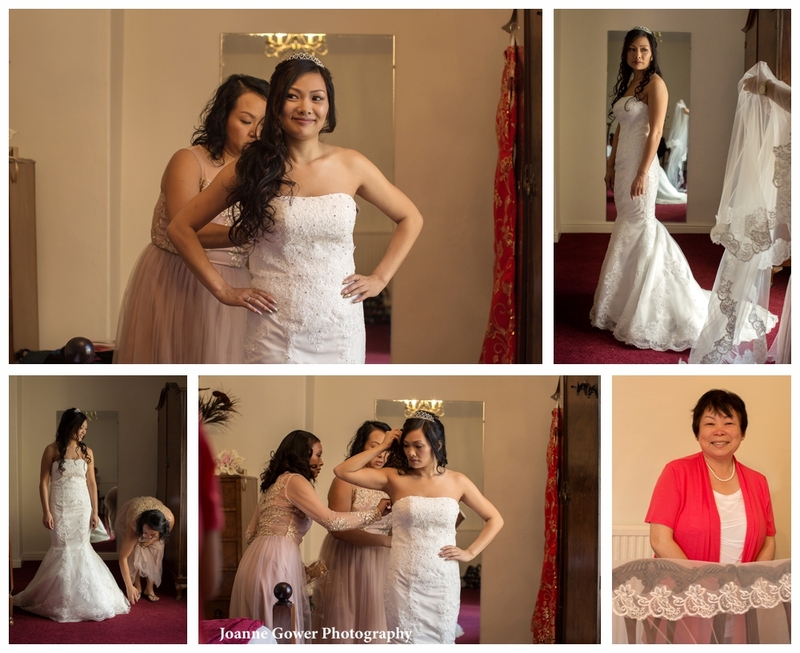 Chi had two dresses and looked equally stunning in both. 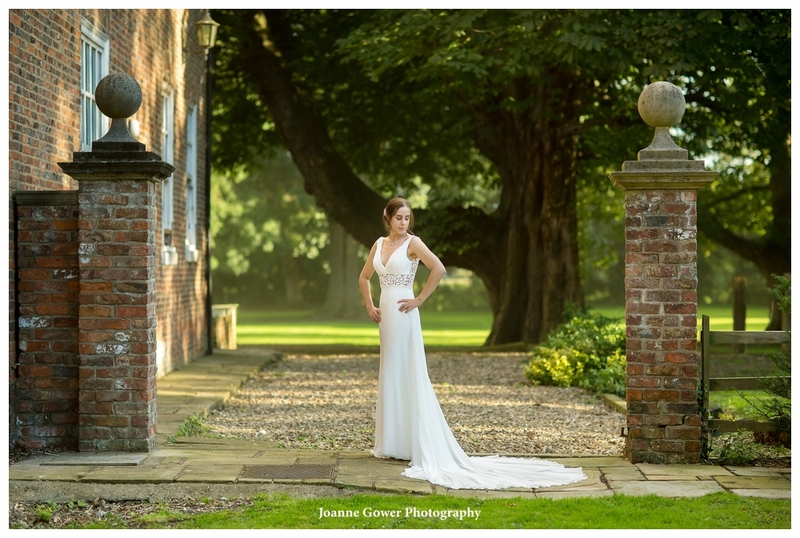 Her white daytime dress was made especially for her, and she wore the traditional red dress for the evening banquet. 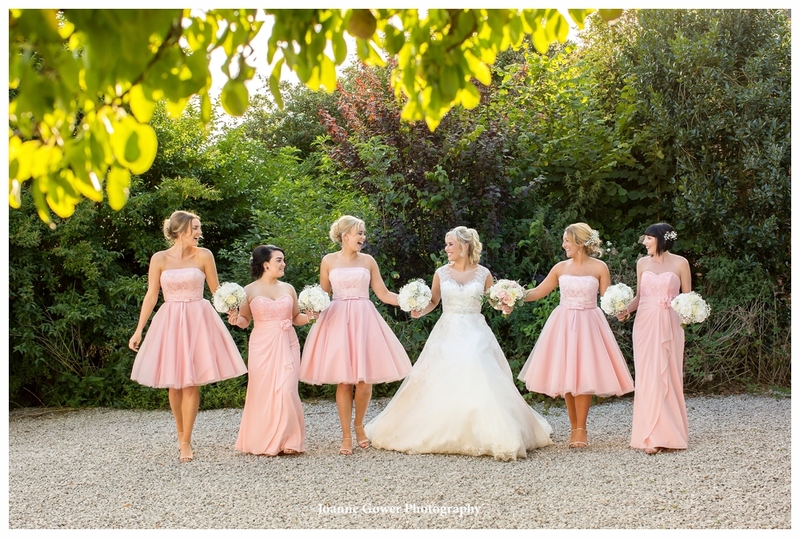 Her sisters Ellen and Helen, looked lovely their pink and gold dresses from Chi Chi’s of London. 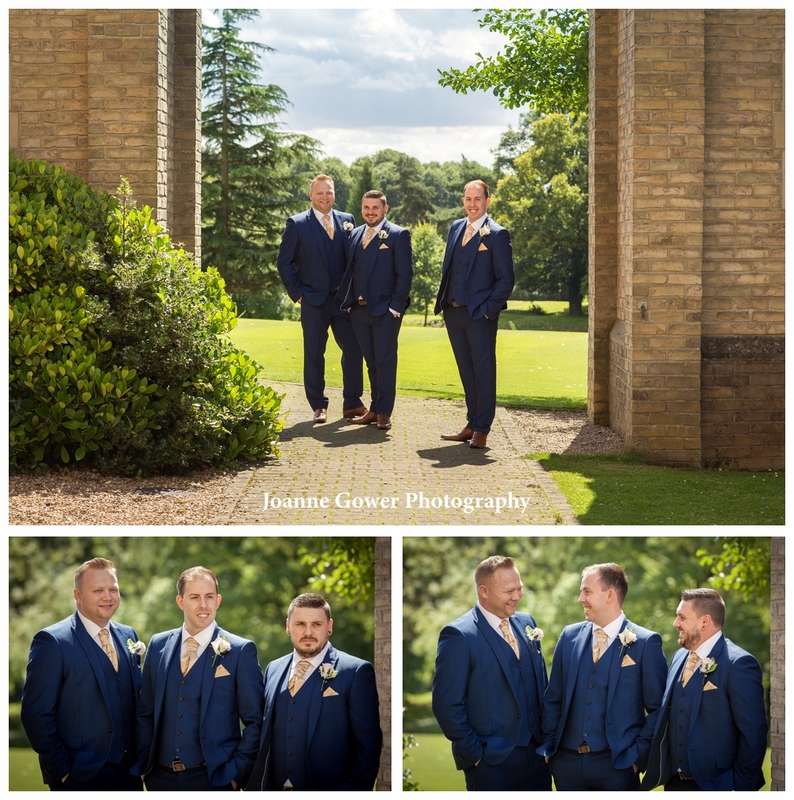 The groom and his groomsmen Chris and Adam, had chosen to buy rather than hire, and they looked great in their blue suits. 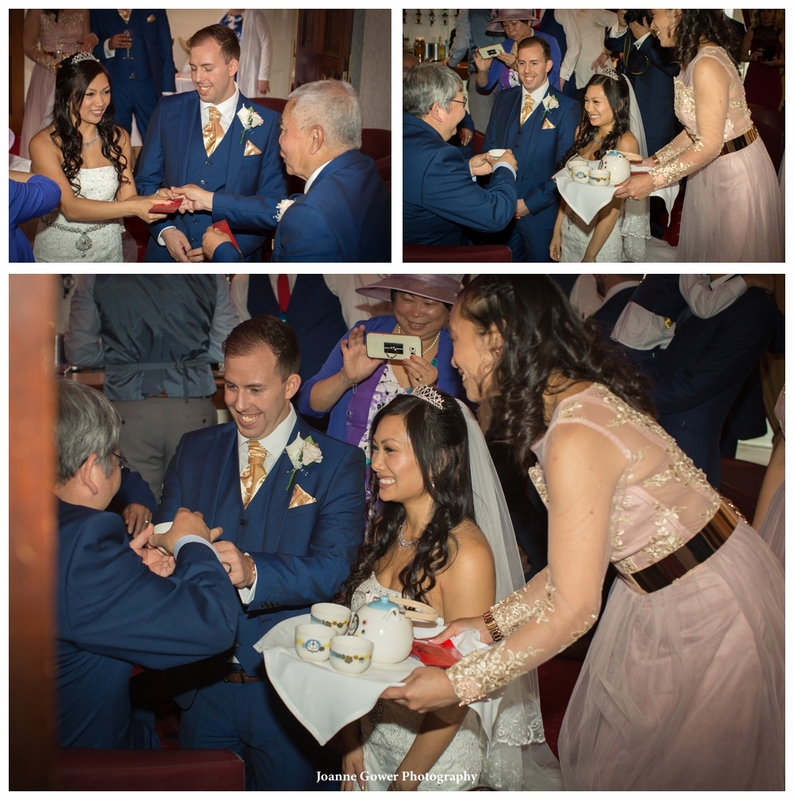 Following the official ceremony, in line with Chinese custom, the couple knelt in front of the brides parents to serve tea, and show thanks and respect to them for their love and care. 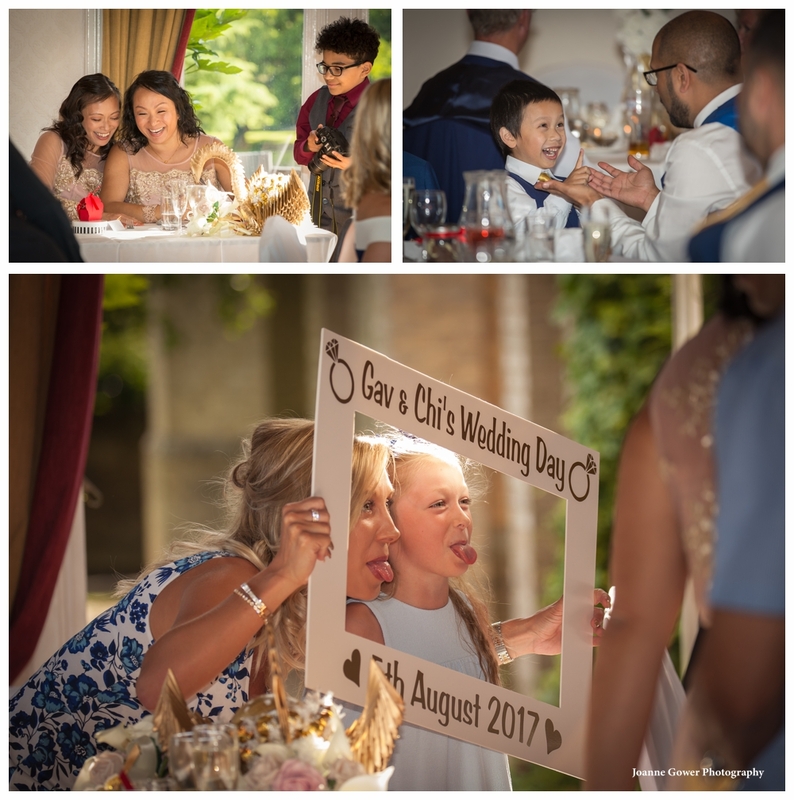 After the tea drinking the Chi and Gavin received their gifts from the family, in the traditional red and gold envelopes. 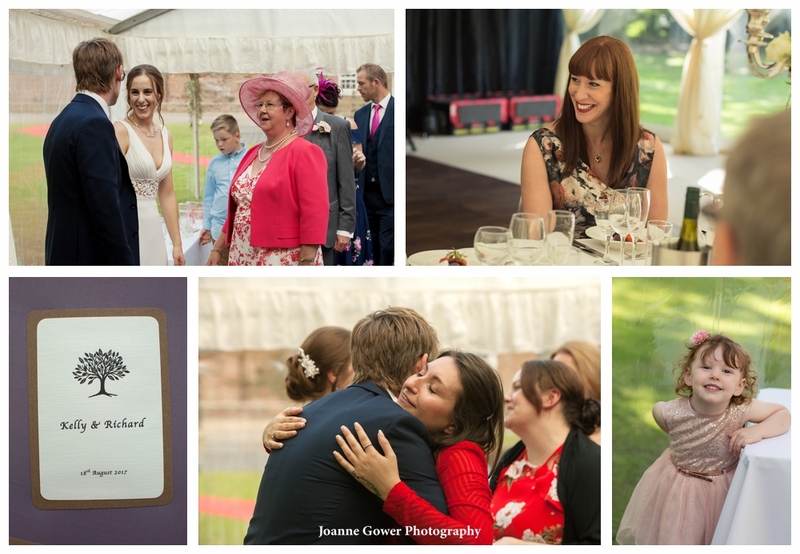 During the tea ceremony the rest of the guests enjoyed a celebratory drink on the lawn in the sunshine. 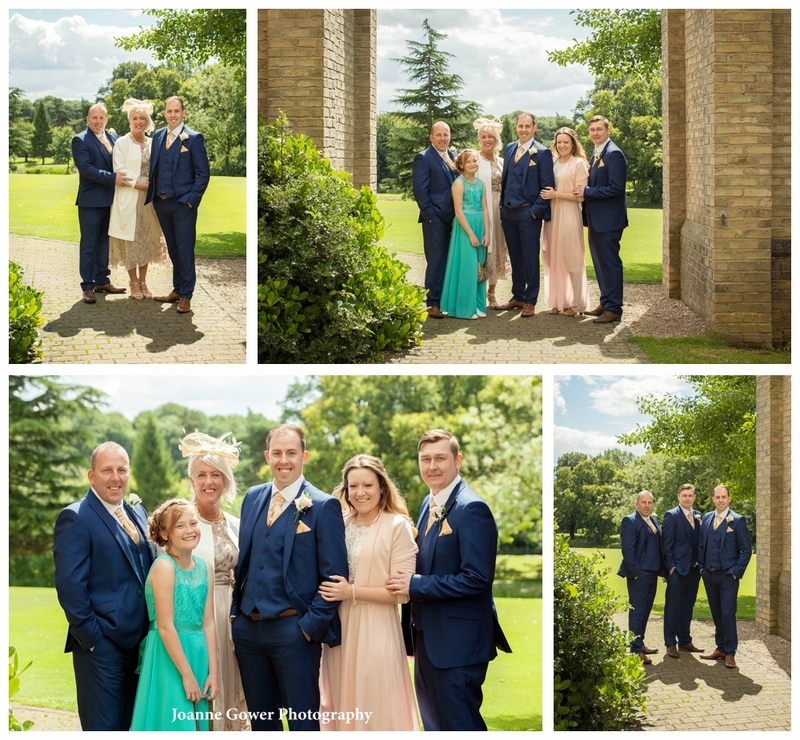 The family photographs followed and before long, it was time for everyone to head inside for the wedding breakfast. 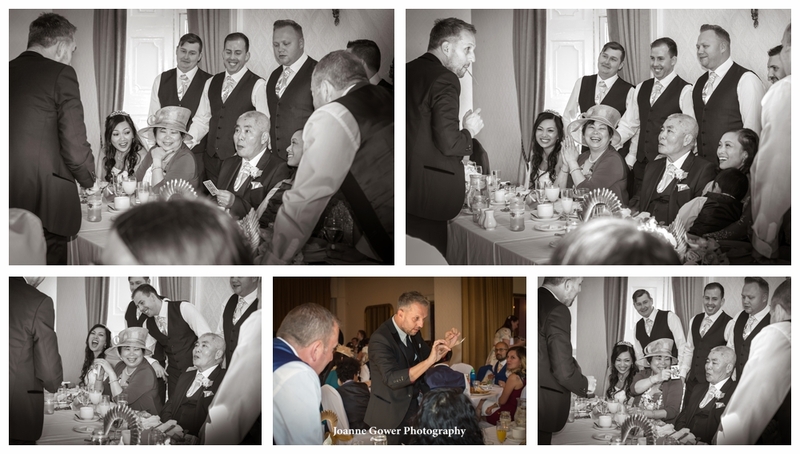 Guests were entertained during the meal by a magician who brought many gasps and lots of laughs. 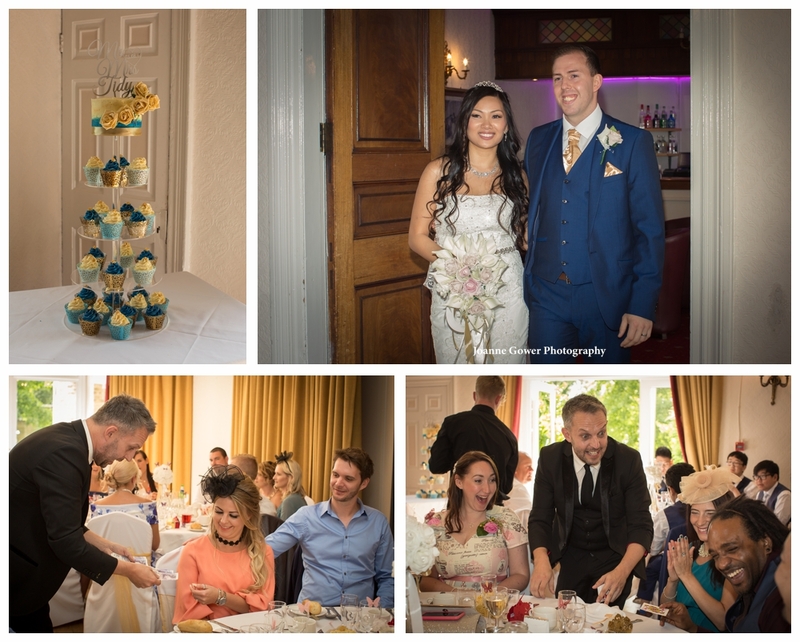 The couple chose cupcakes rather than a traditional wedding cake, and they were made by the bride’s sister, Ellen. 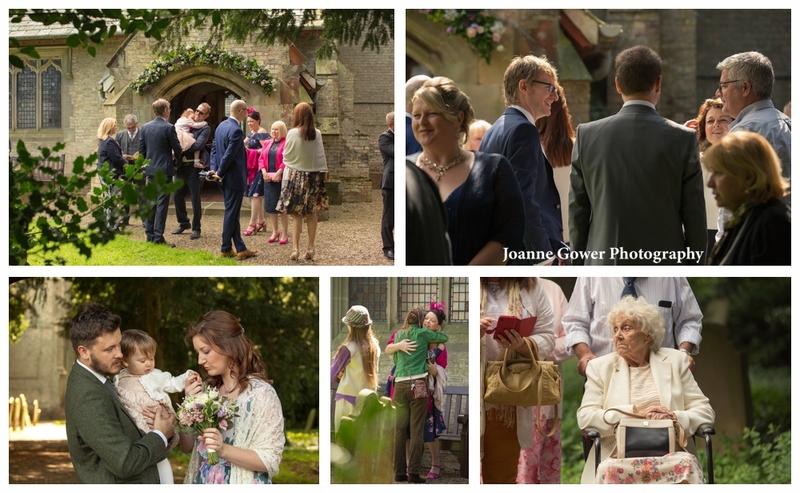 Flower Creatives in Hedon provided the flowers. 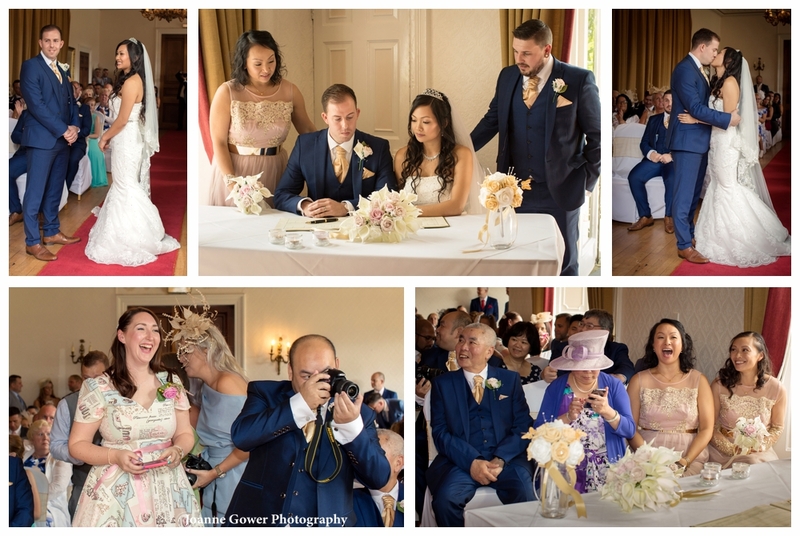 To celebrate the bride’s heritage, the happy couple chose to forgo the current trend for a first dance, in favour of a stunning Chinese Lion Dance which opened the evening reception. 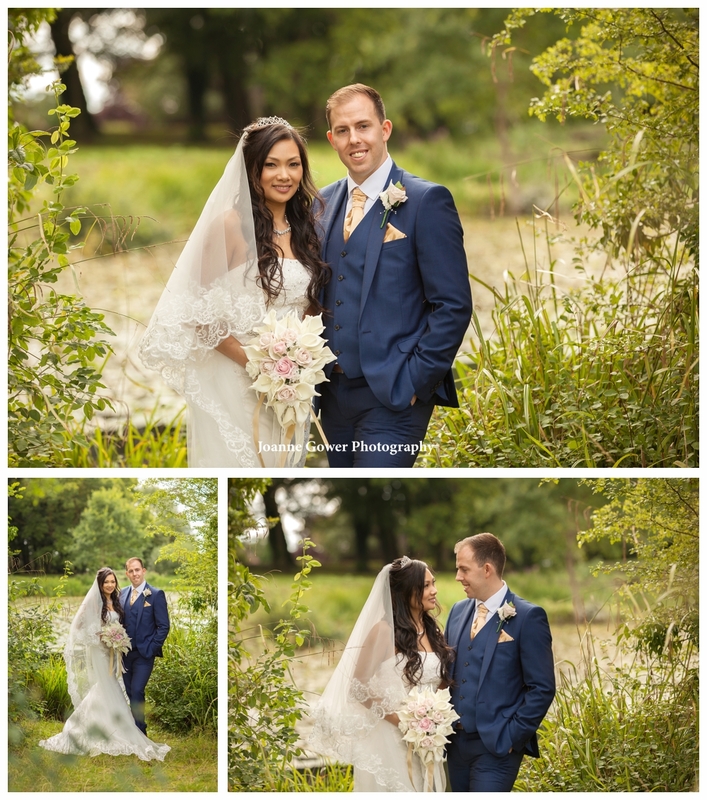 Chi and Gavin are a lovely couple and we are very much looking forward to sharing the rest of their wedding photography with them. 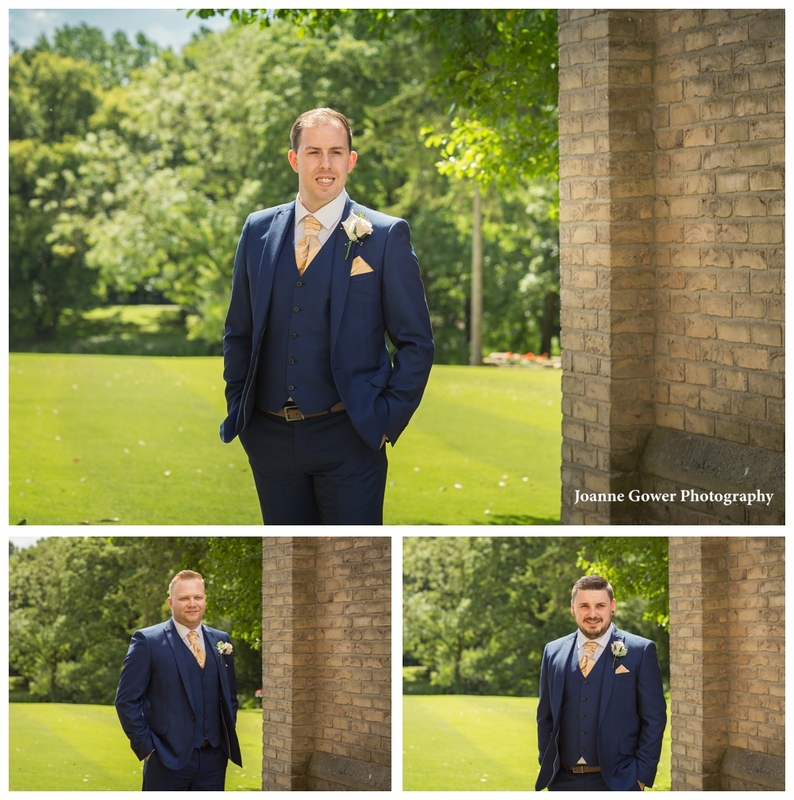 If you are getting married at Cave Castle Hotel, and are looking for a wedding photographer, we'd love to hear from you! 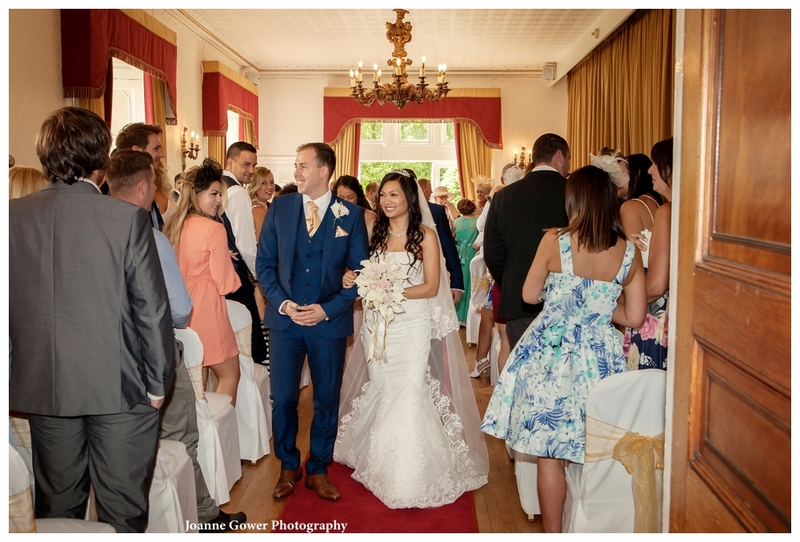 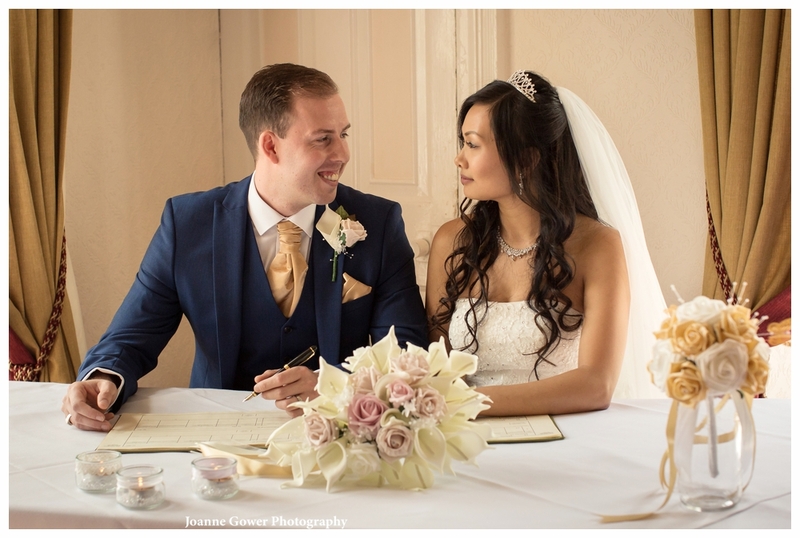 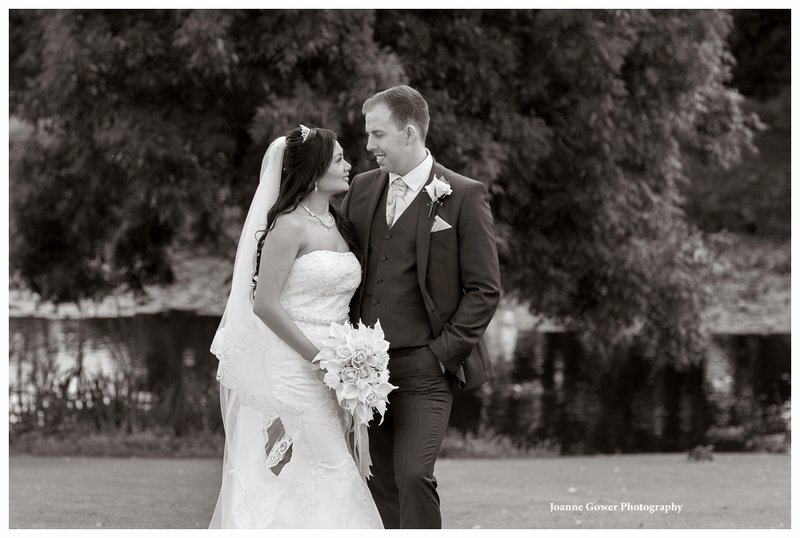 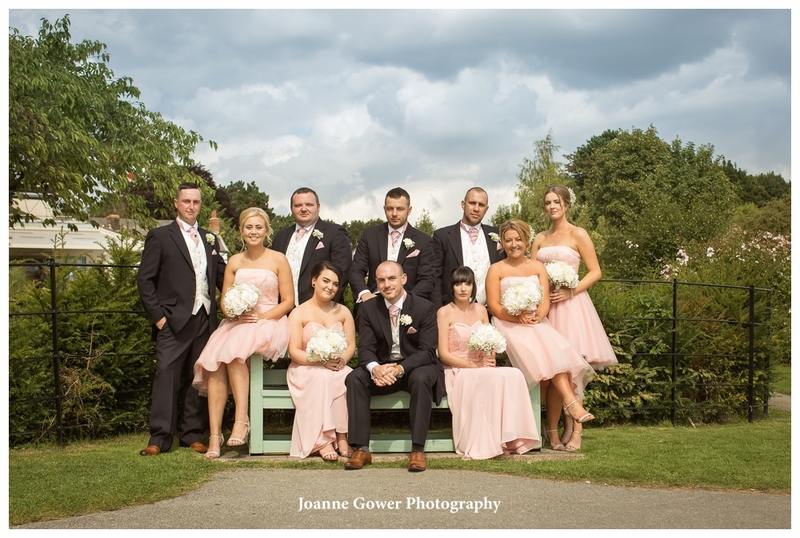 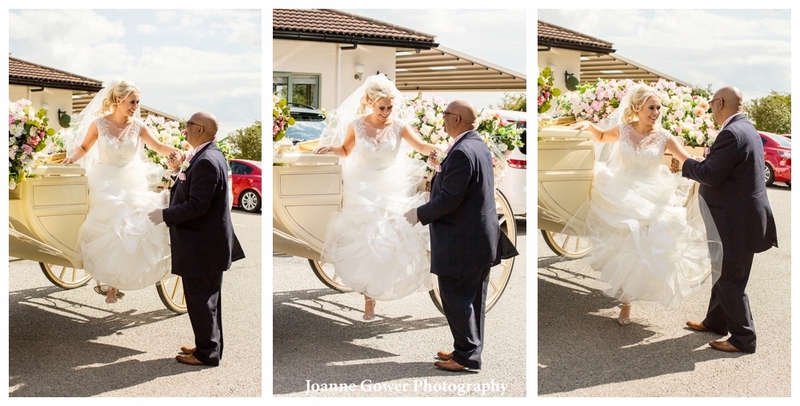 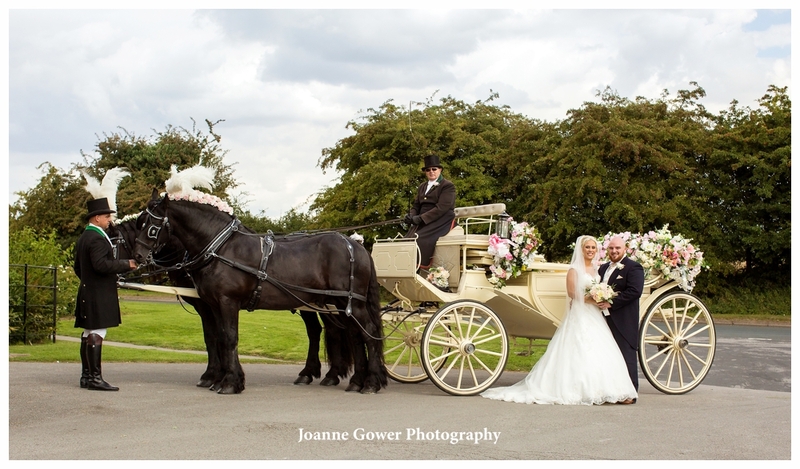 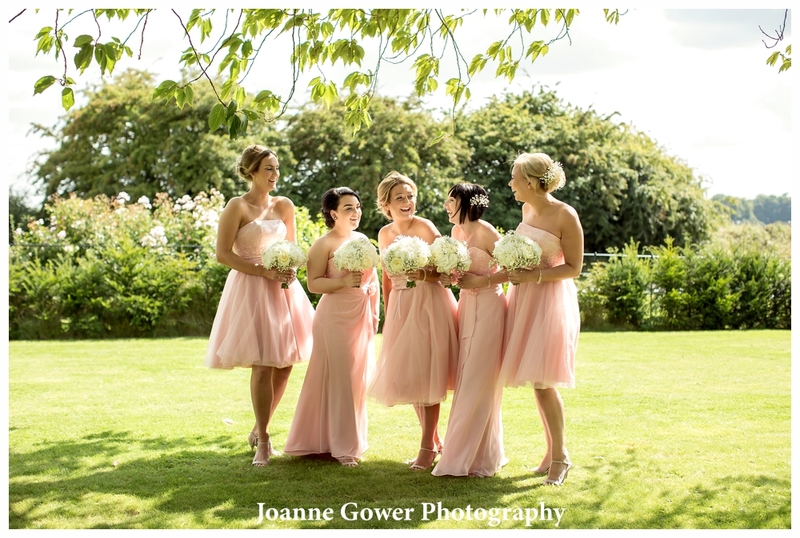 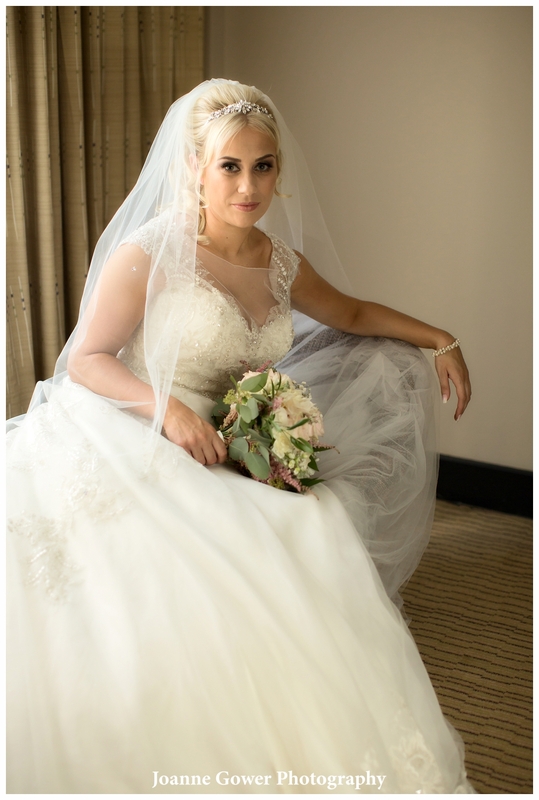 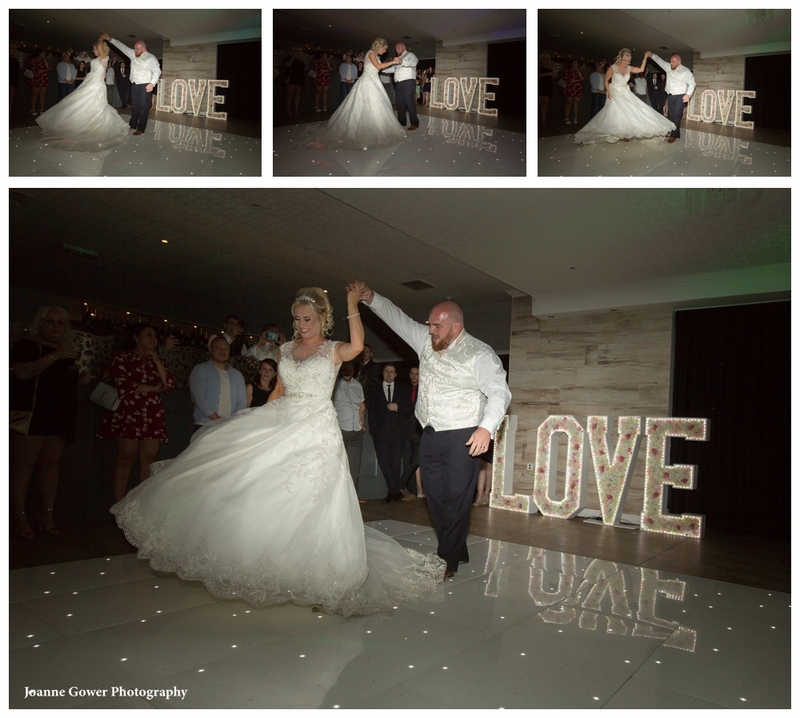 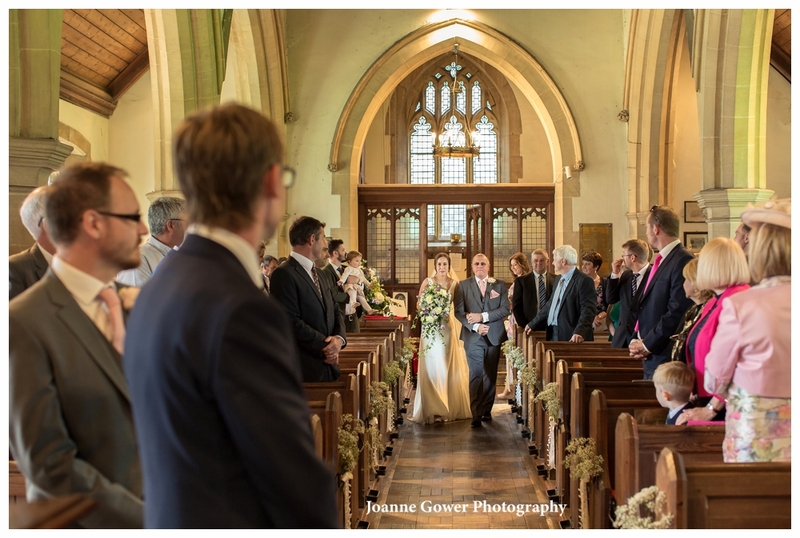 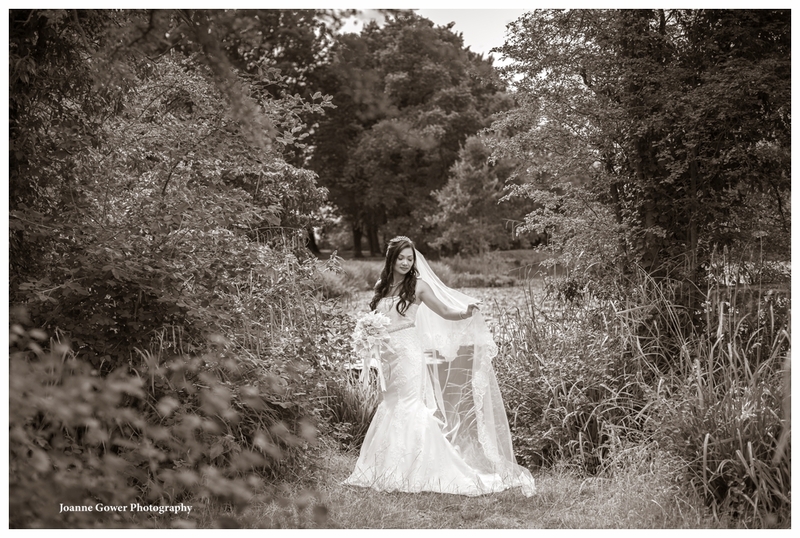 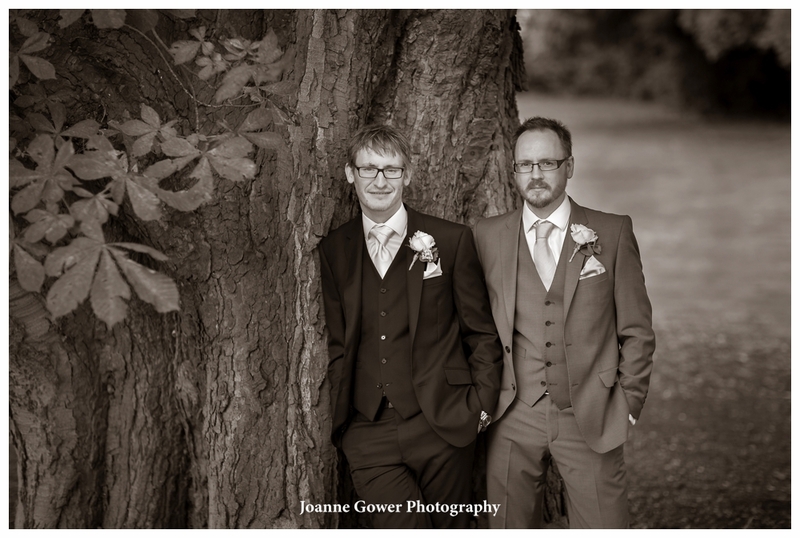 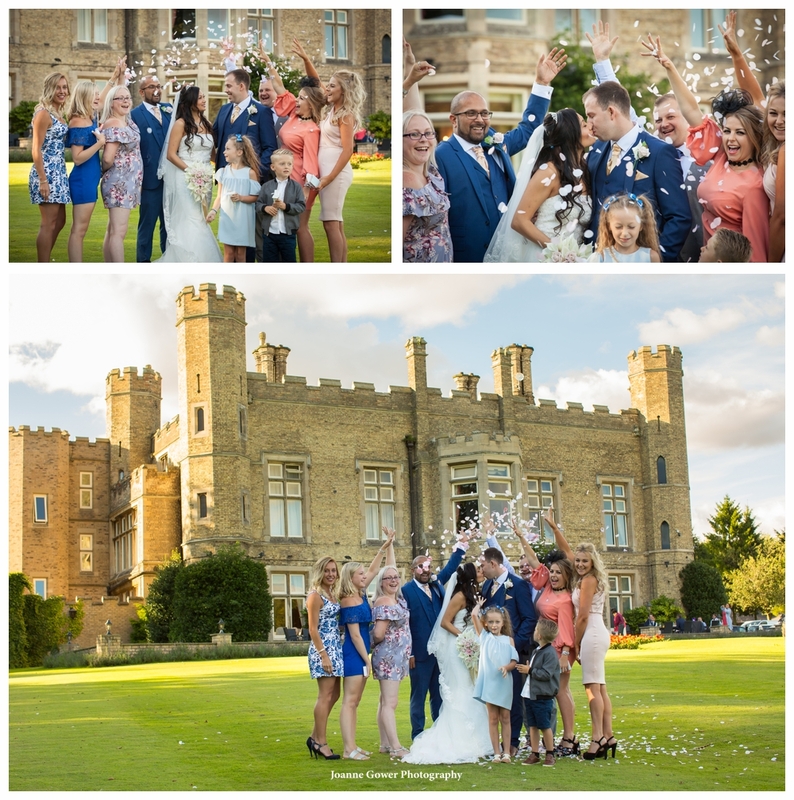 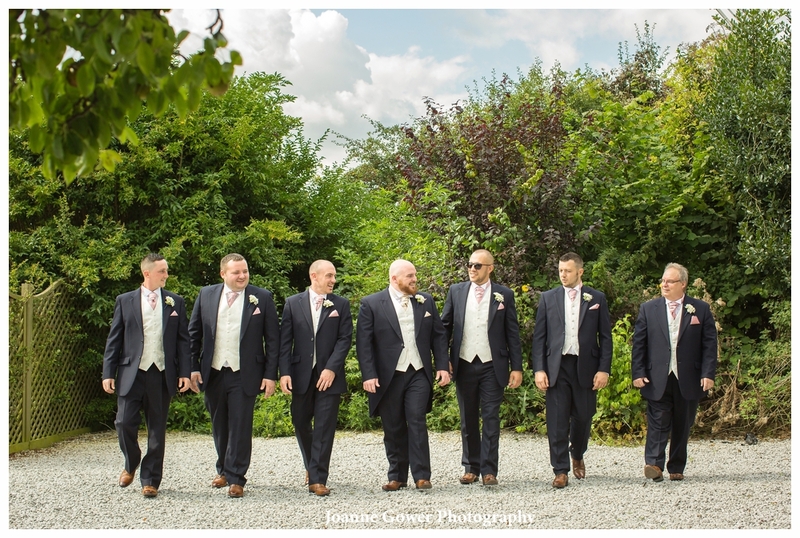 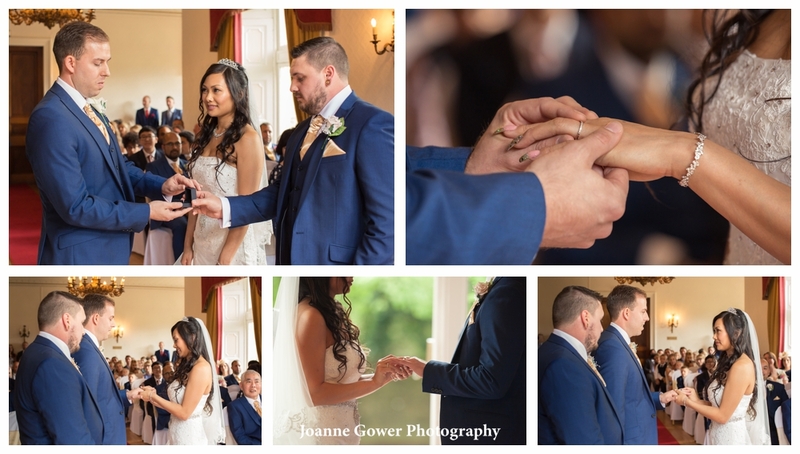 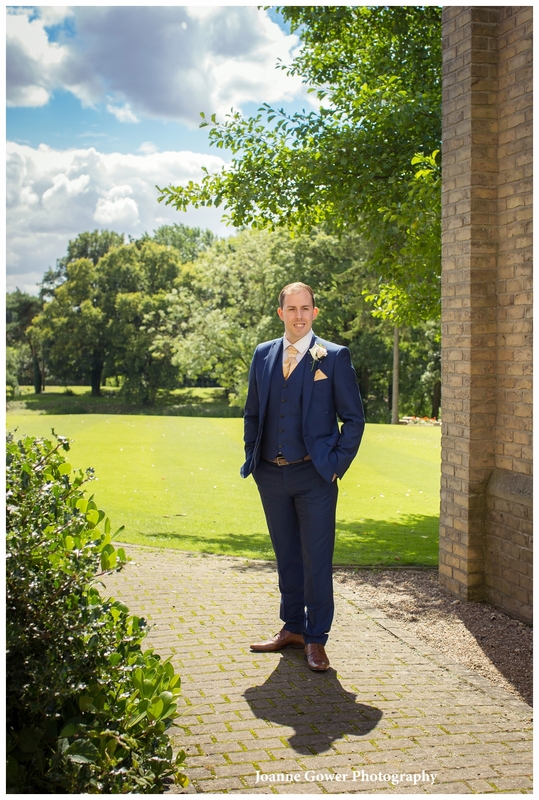 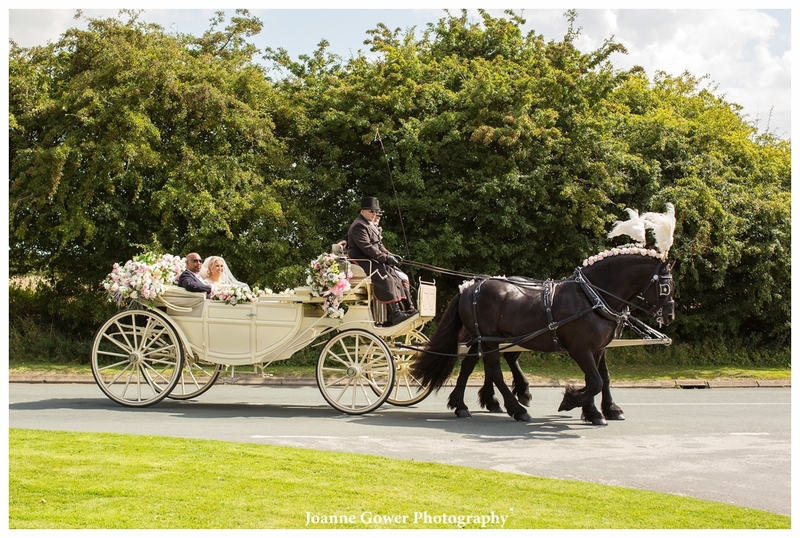 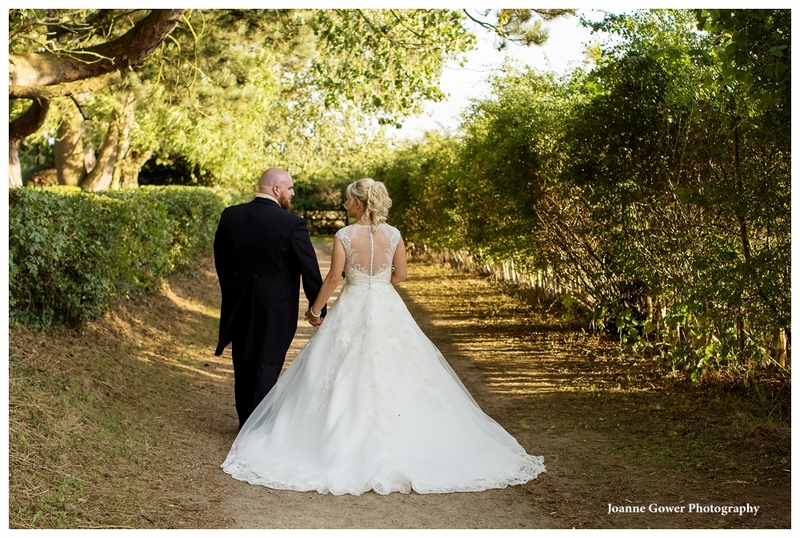 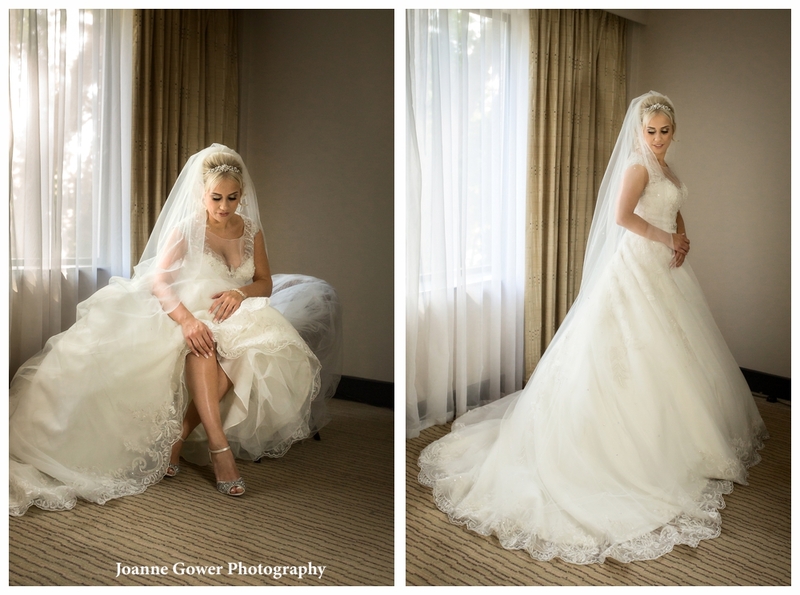 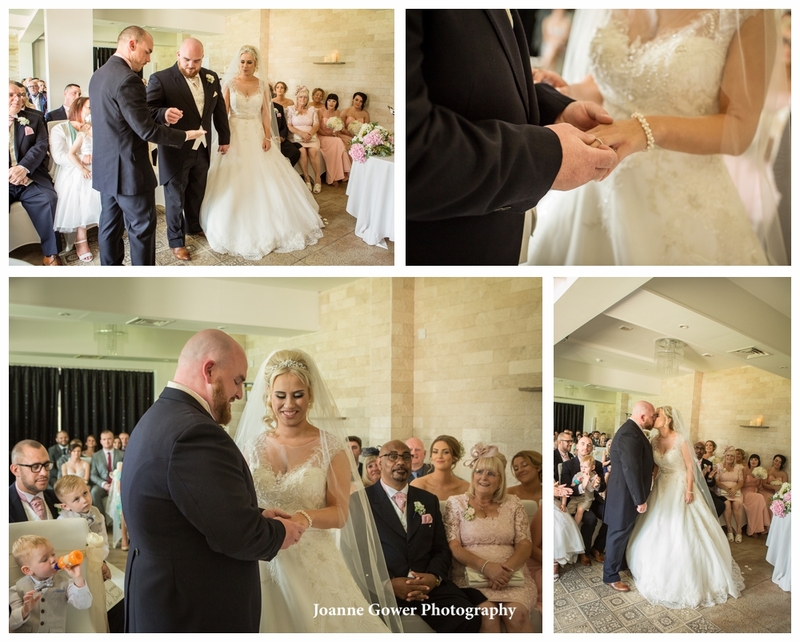 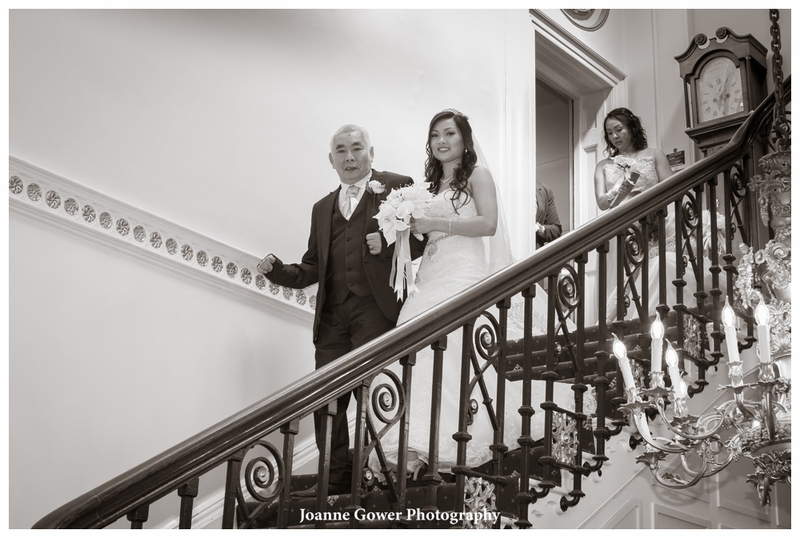 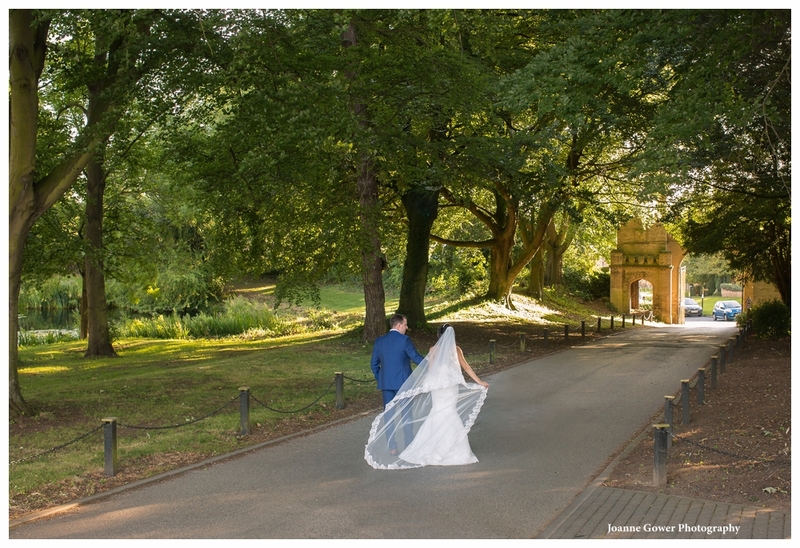 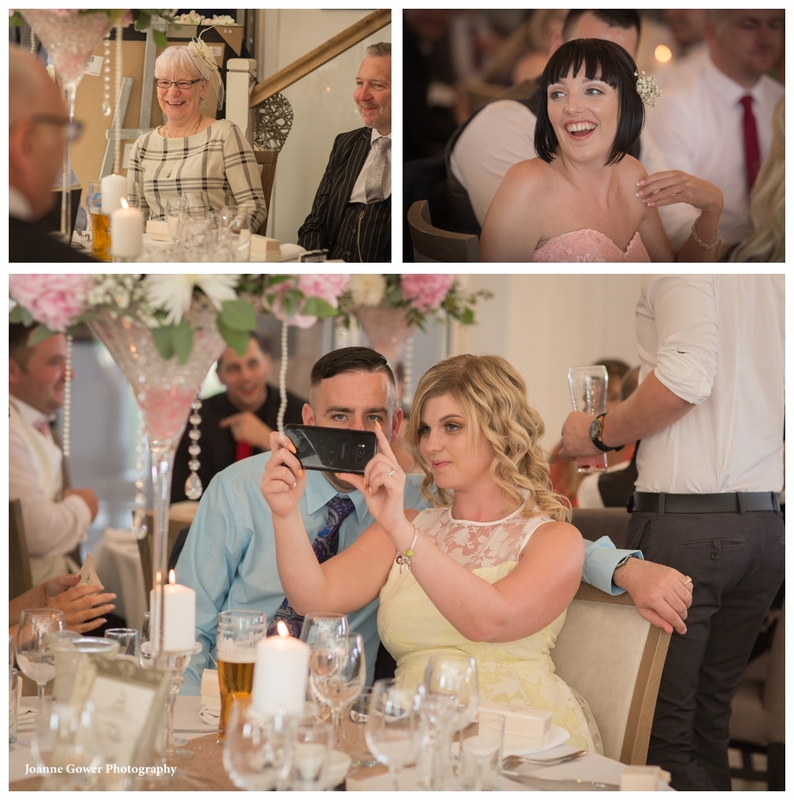 Email us at: info@joannegowerphotography.co.uk or give us a call on 01482 629430.